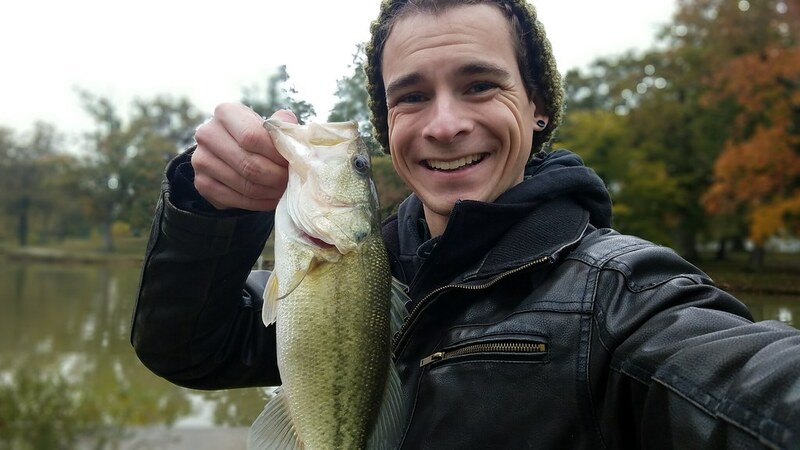 I can’t help but feel a little bittersweet as I’m boxing up my room in preparation to move to California. 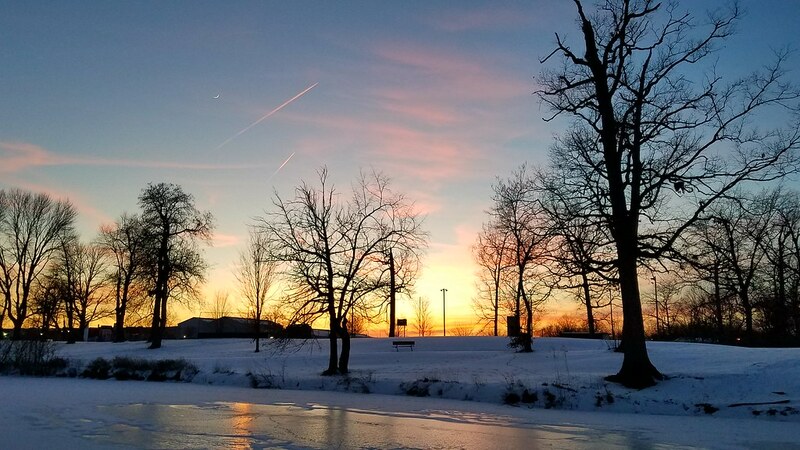 Indiana has been a wonderful place for me to grow up, I was fortunate to live in an area that I had the benefits of both city and country life. 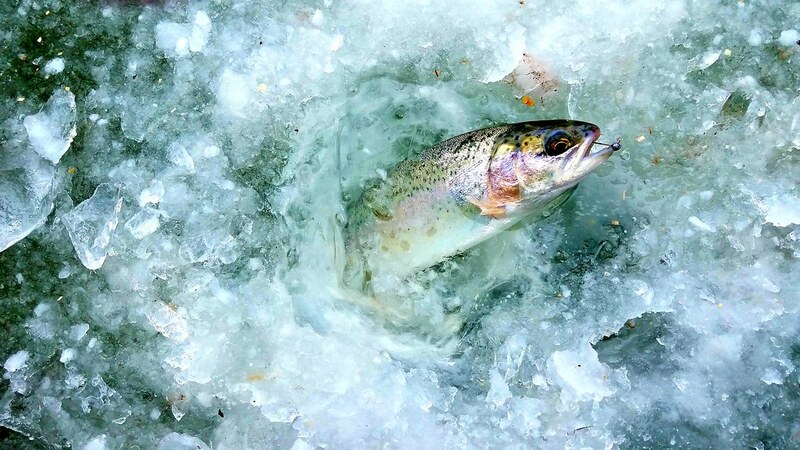 I can’t thank my parents enough for raising me to fully appreciate the wonders of nature. 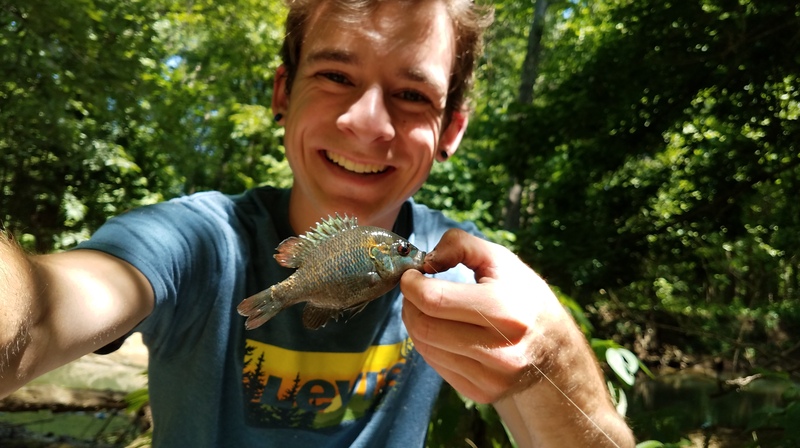 Growing up most of my friends became obsessed with video games, but I became fascinated by the things you could find in the woods and the water. 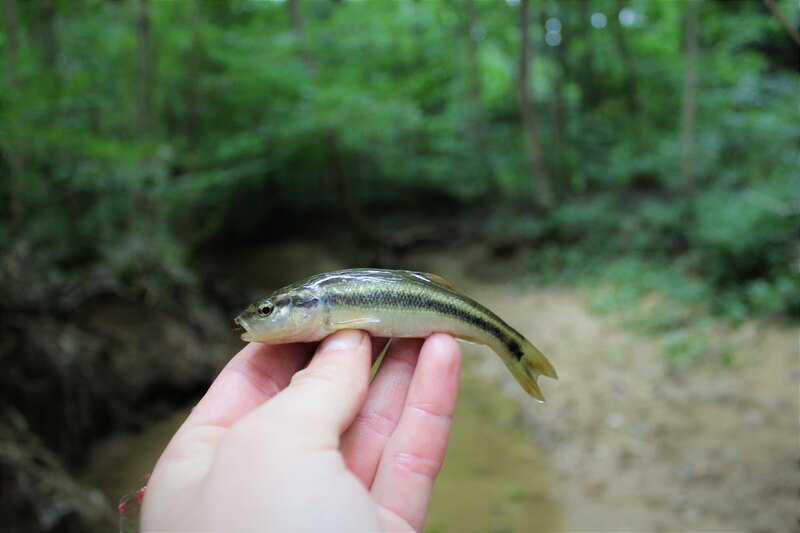 As I grew older I learned that my true passion lived in aquatic biodiversity, and as you can probably tell that means fish. 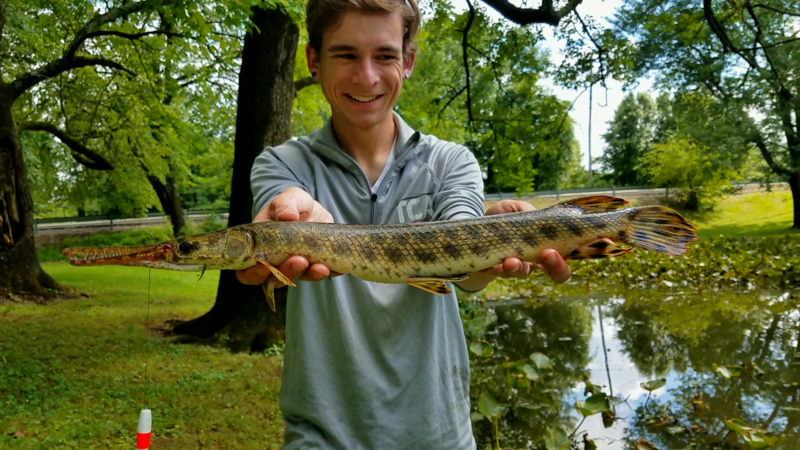 Neither of my parents were big fisherman, but they still encouraged me to explore the things I enjoyed. 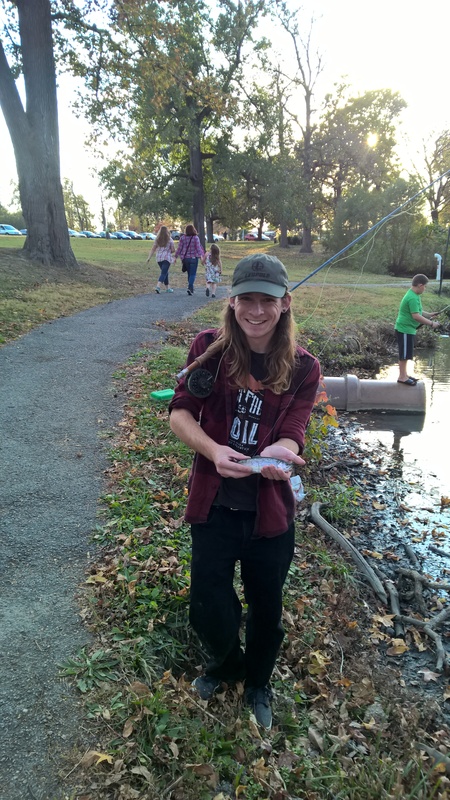 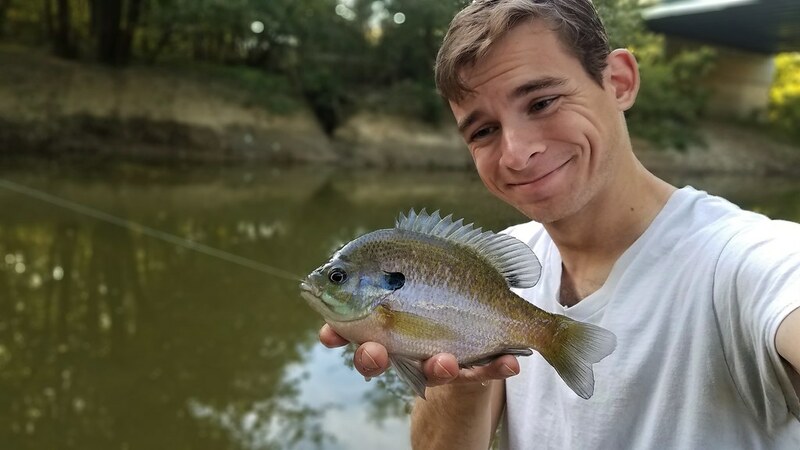 I didn’t fish much when I was young, it was mostly something fun I would get to do when we went camping or visited my grandparents. 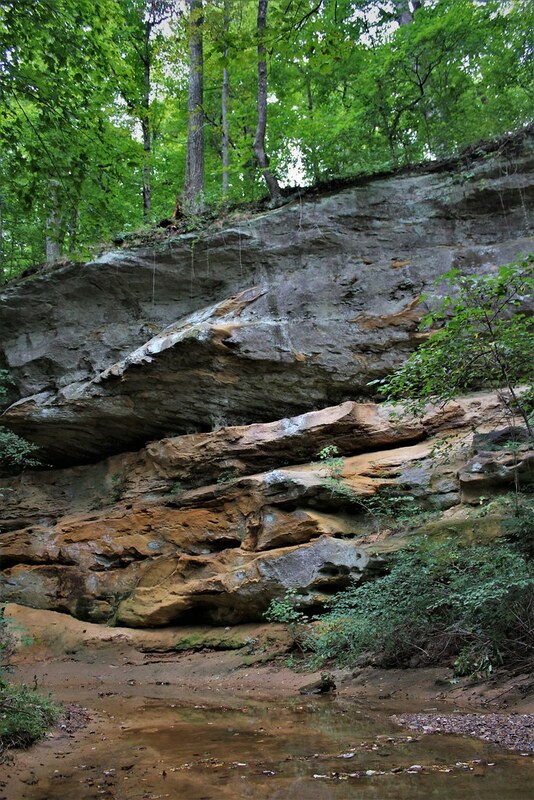 We always tried to camp at least once in the fall, whether it be up at Patoka Lake or Ferdinand State Forest we did our best to go. 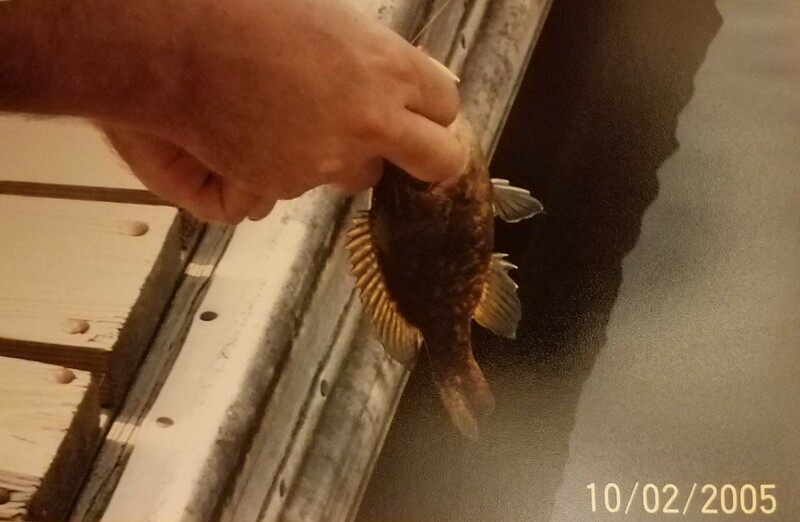 These trips were usually when I would get to go fishing, and I was always incredibly excited when these magical days would come. 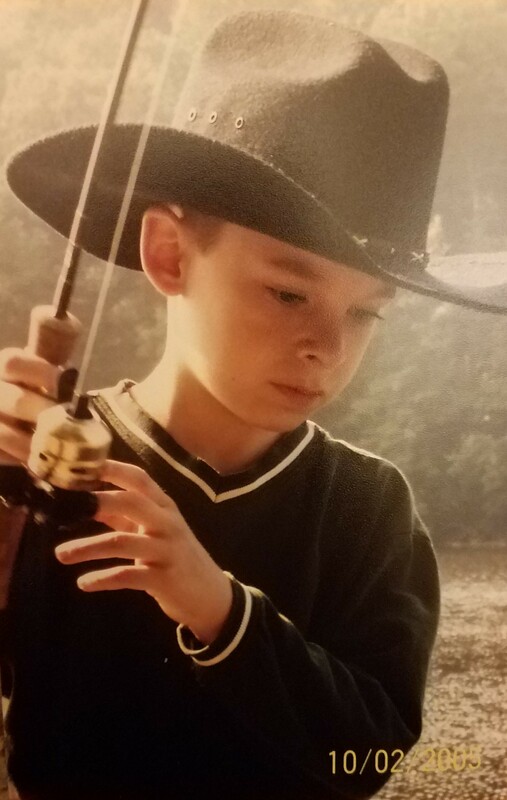 I kept fishing on and off as I got older, though I never seemed to do much catching. 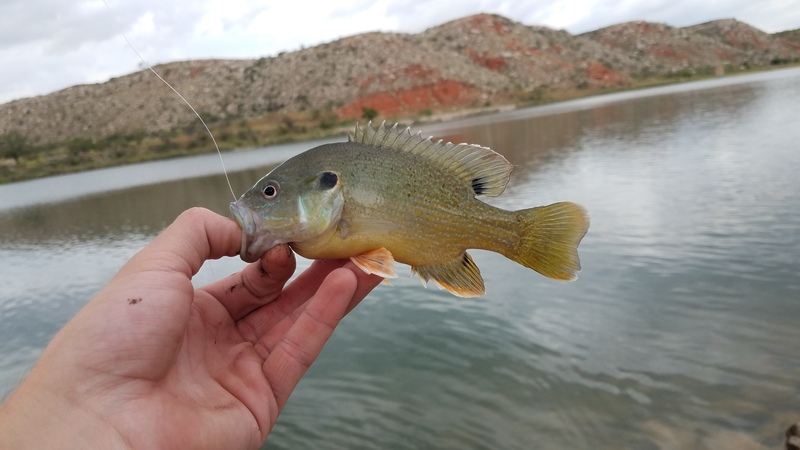 My dad would very patiently take me fishing and we would try our best to catch fish, even though neither of us had any clue what we were doing. 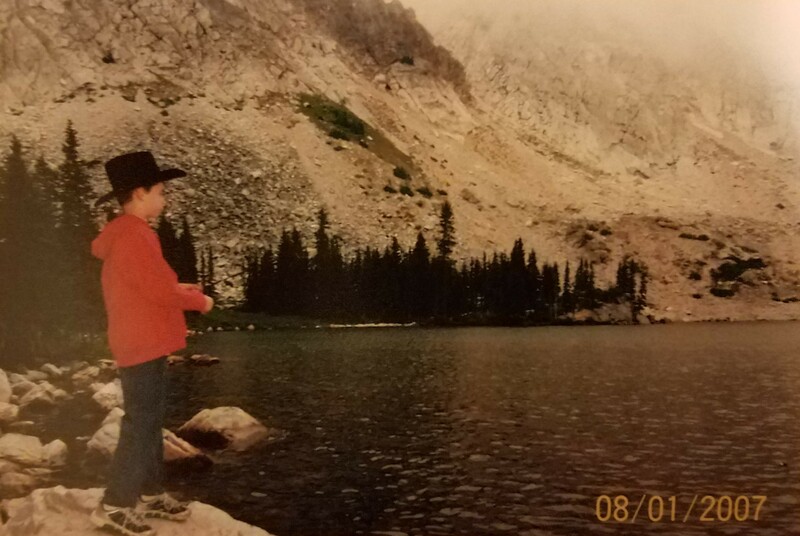 One of my favorite memories fishing with him was on a camping trip in Wyoming, we both fished in this gorgeous lake at the bottom of mountain range as the fog rolled down. 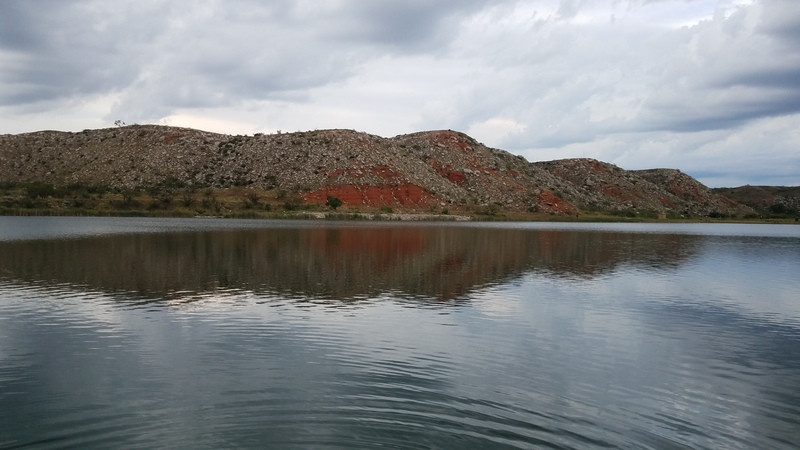 It was one of the prettiest and most peaceful things I have ever experienced. 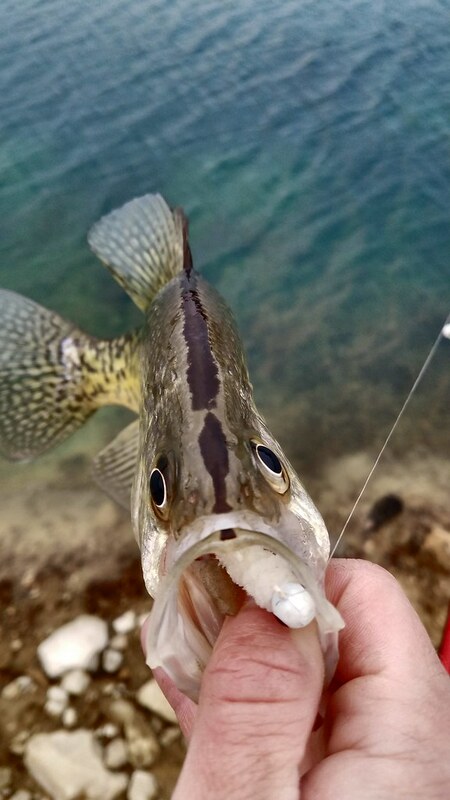 It is a moment I will treasure forever. 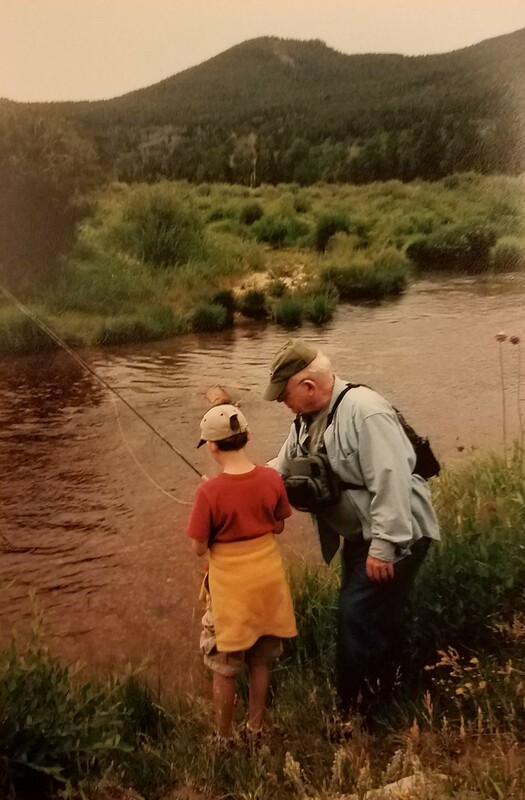 Every time we would travel west to Colorado I would get the chance to fish with my grandpa, he was (and still is) my fishing hero. 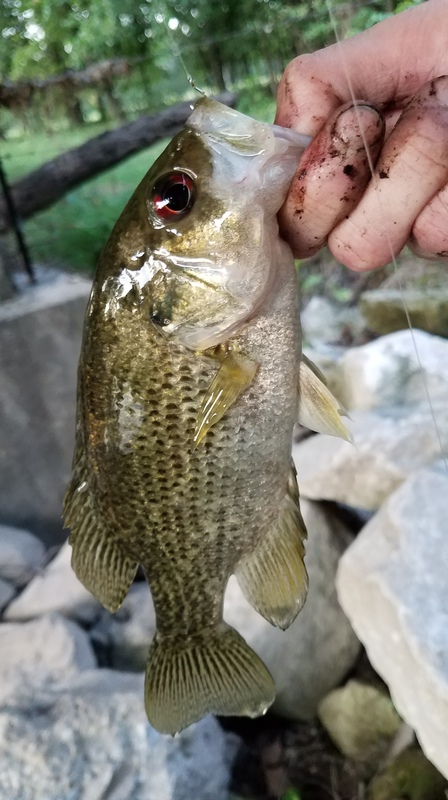 He was the one who bought me my first fishing rod, a little Micro Lite from Bass Pro Shop (the rod you see me fishing with in the first picture). 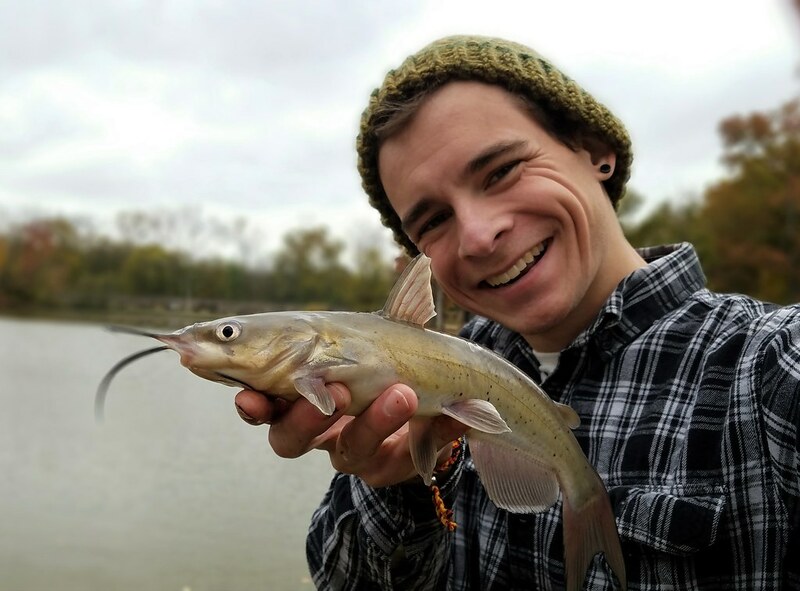 I’ve learned so much about fishing with him and have always loved getting to spend time by the water with him. 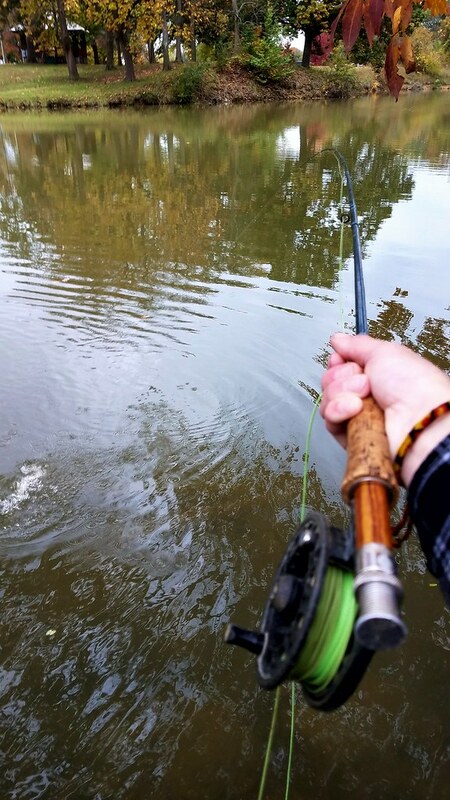 The biggest gift he gave me was introducing me to the world of fly fishing. 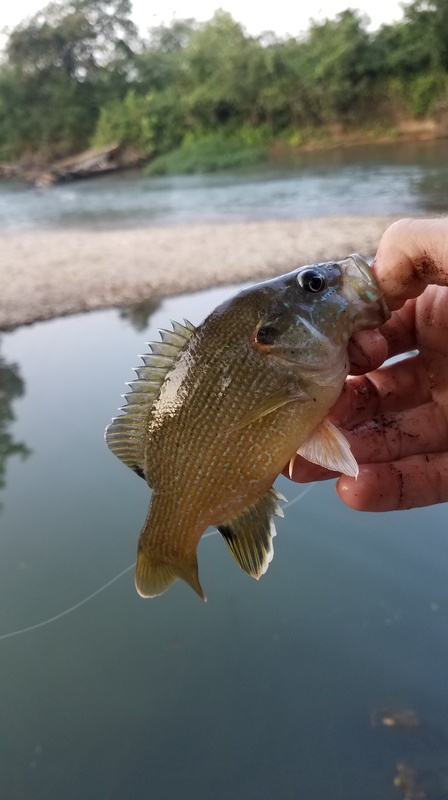 He was patient enough to teach a young kid like me how to cast and tie flies. 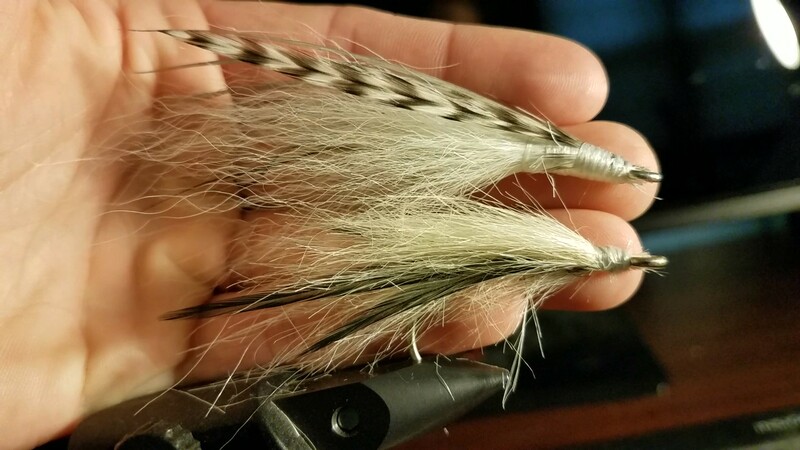 This is something I still do to this day, many of the flies I tie are with feathers that he graciously let me have. 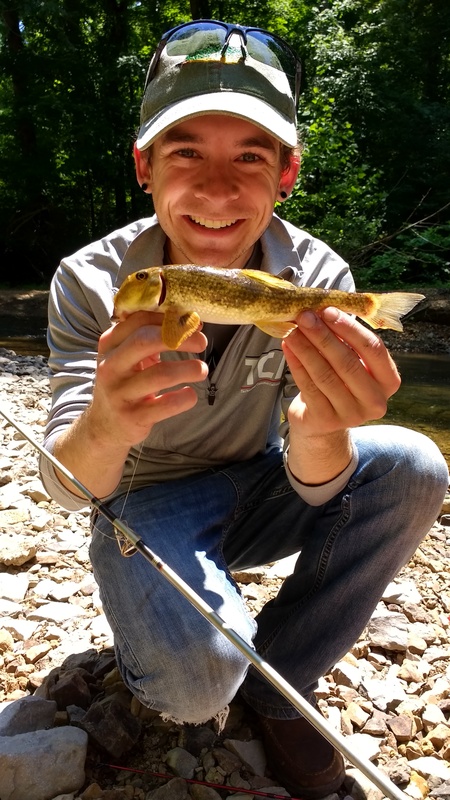 It took nine years and a lot of hair growing before I finally caught my first trout on the fly rod. 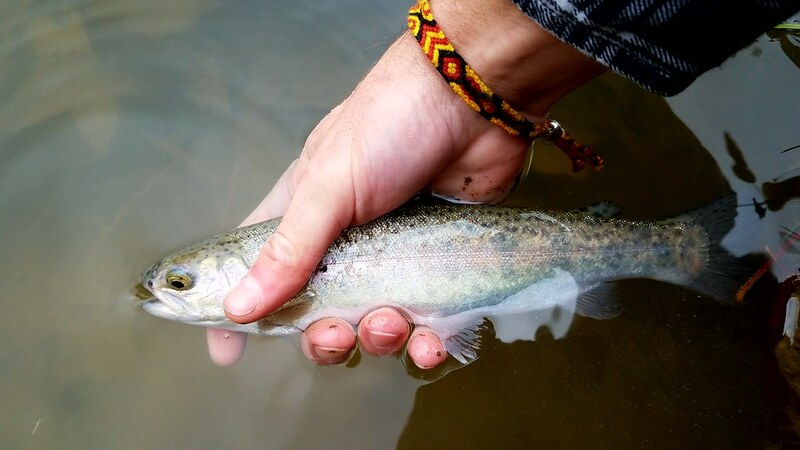 As I fought that little trout all I could think about was that wonderful day in Colorado where my grandpa had taught me carefully how to cast a fly rod. 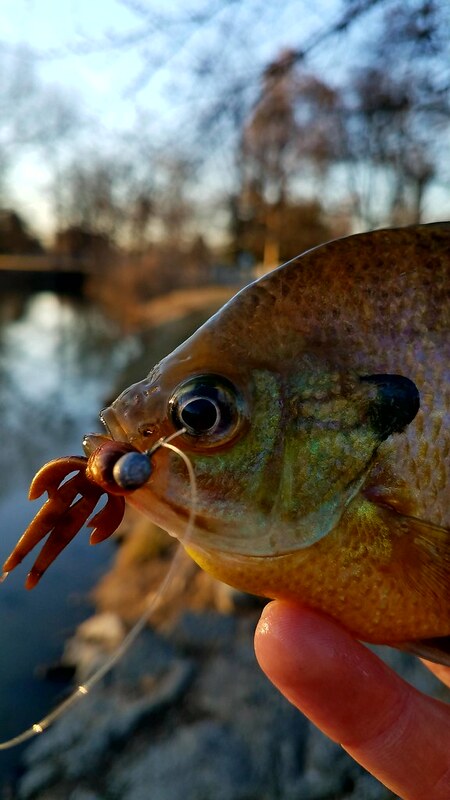 To make this moment even sweeter the fly I caught it on was a pattern that he had showed me how to tie. 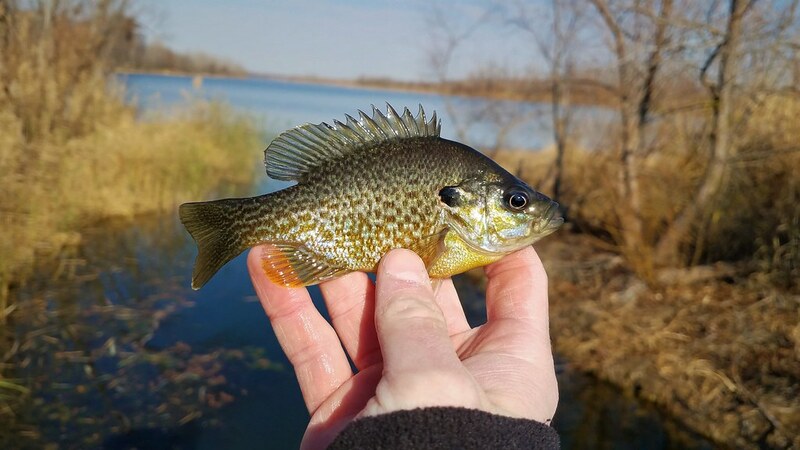 My grandpa was very excited for me that evening when I called him to tell about my success. 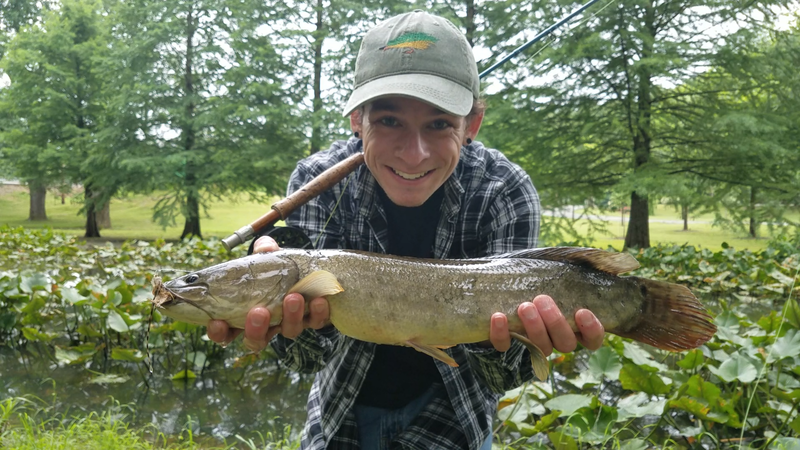 I couldn’t help but laugh to myself that my first trout I ever had on a fly rod was caught in Indiana of all places. 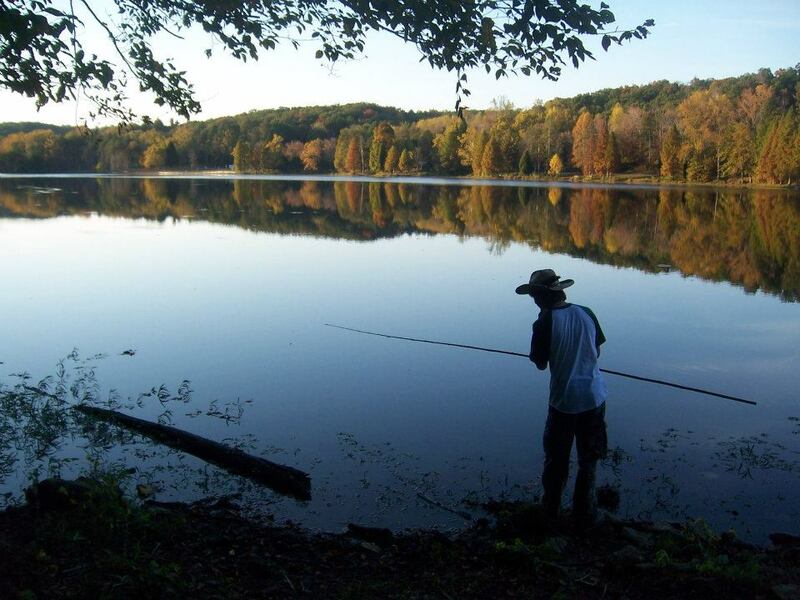 The tradition of camping with the family in the fall started to fall apart as we all grew older and all became busy. 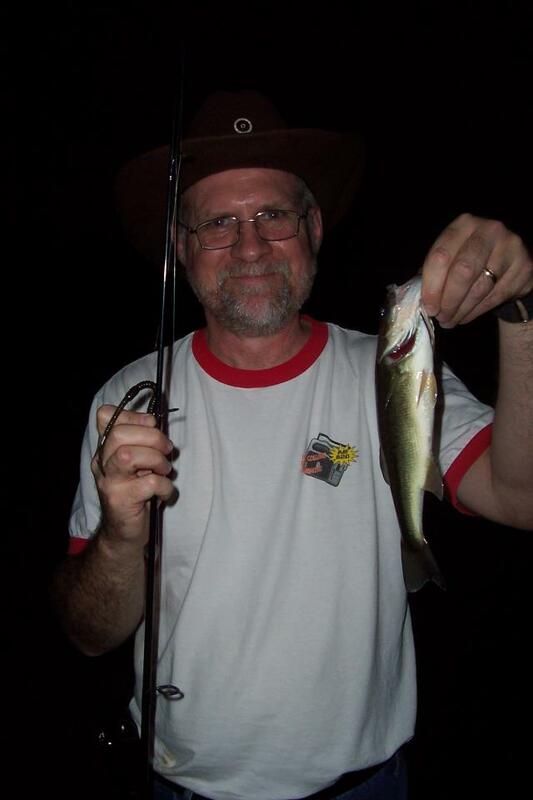 But there were a few times I was able to get my dad to go camping with me through high school. 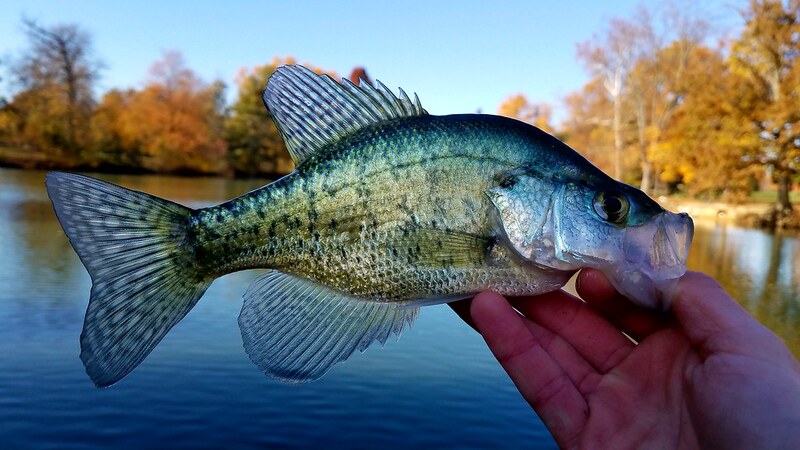 One beautiful fall day we made the familiar drive up to Ferdinand State Forest to our favorite fishing and camping spot. 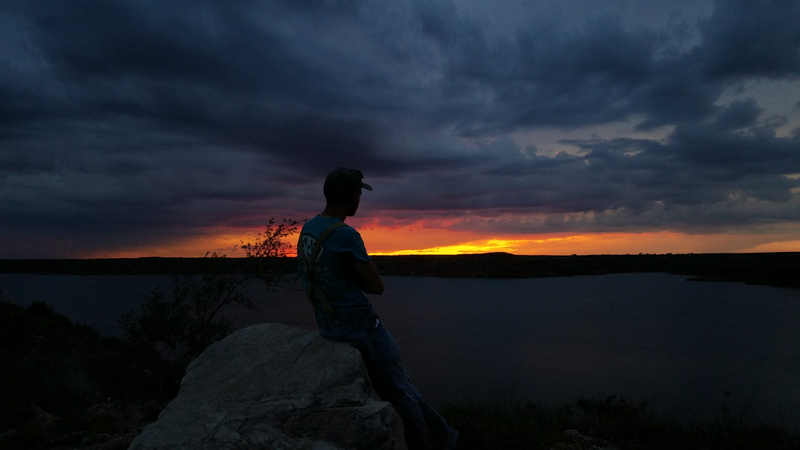 I remember that being one of our best camping trips ever. 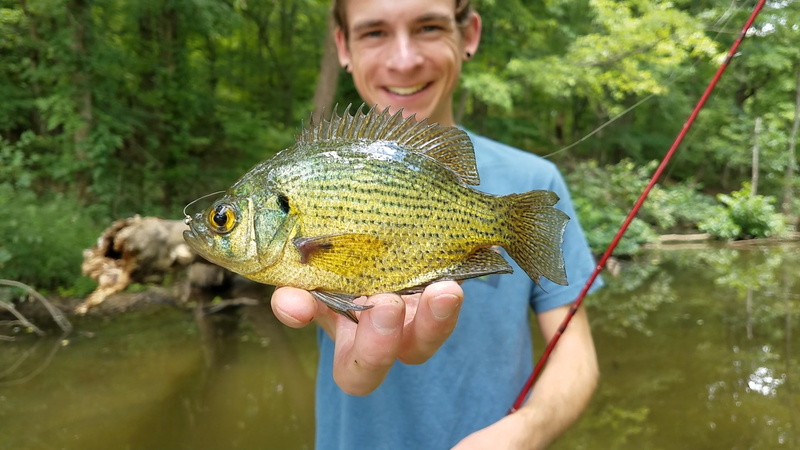 We had the one of the most beautiful parks in Indiana almost to ourselves and the fish were biting the whole trip. 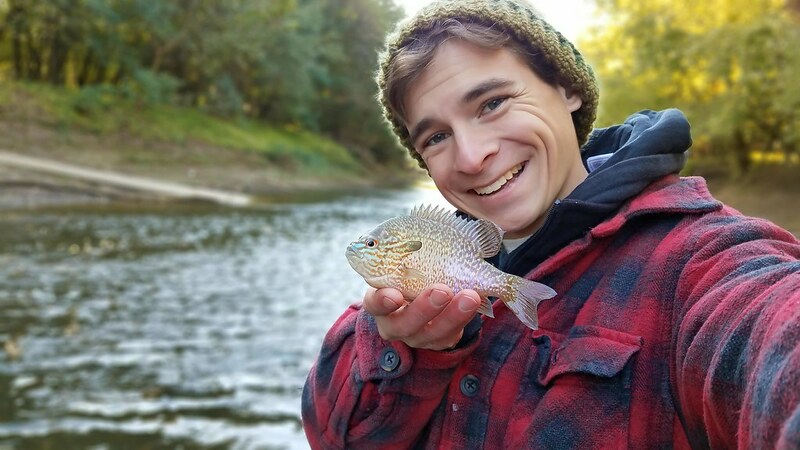 The silliest memories stick out from that trip, but I think the best part was sitting by the campfire with him eating green beans out of tin can as we sat and talked about life. 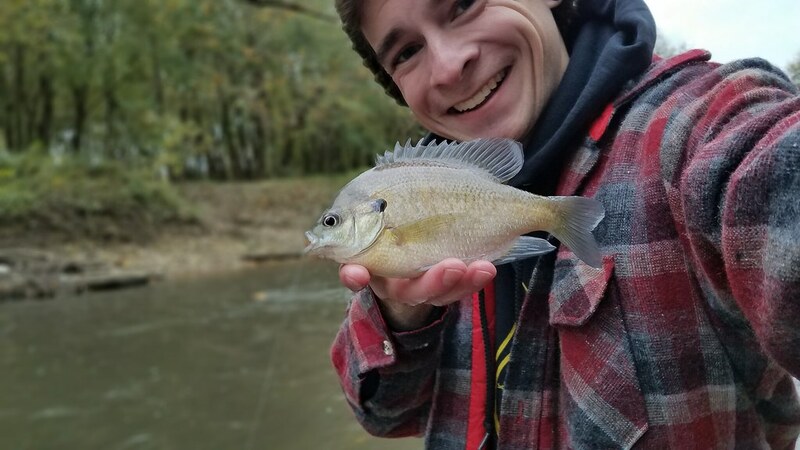 As soon as I got my first car in high school I would travel as far as the poor beat up thing could go in search of new places to fish in Indiana. 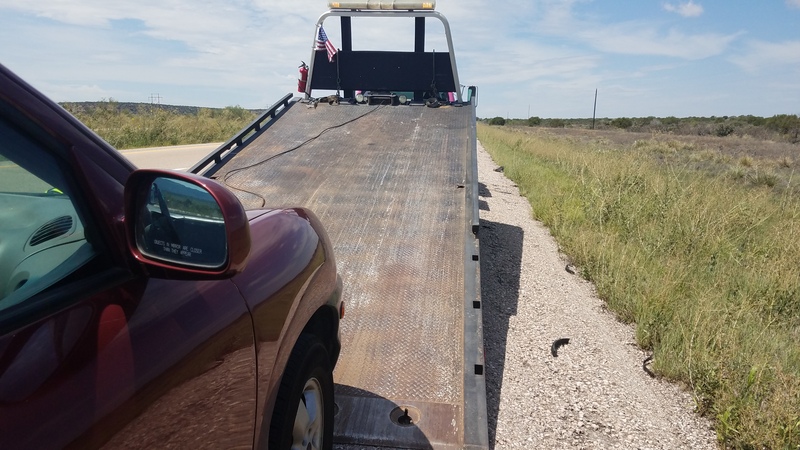 In retrospect that was a terrible idea considering how often that car would break down and the fact that I had the worlds most unreliable phone. 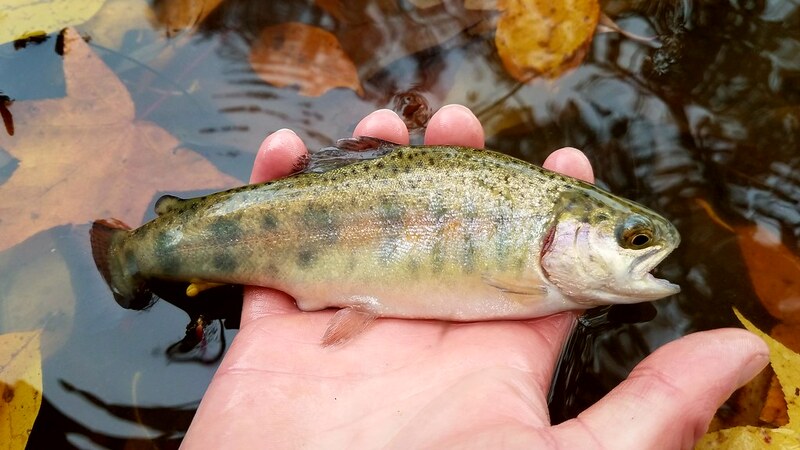 On one such occasion I drove myself 4 hours away from home to fish a lake in the middle of the forest in search of one of the only year round trout fisheries in Indiana. 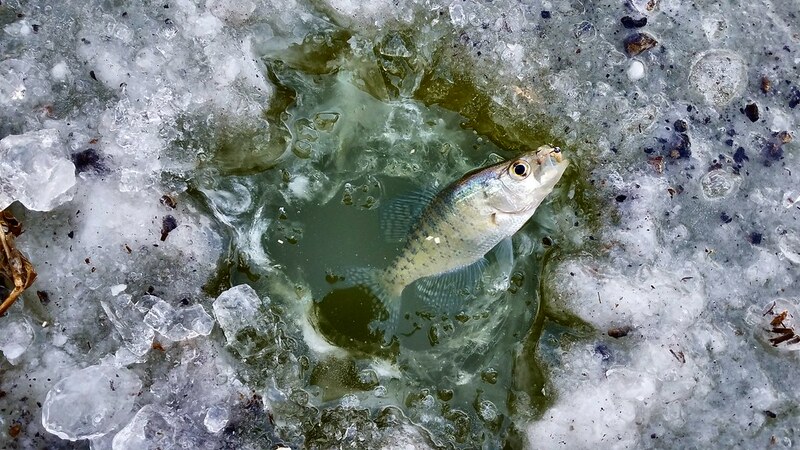 That day was an absolute disaster. 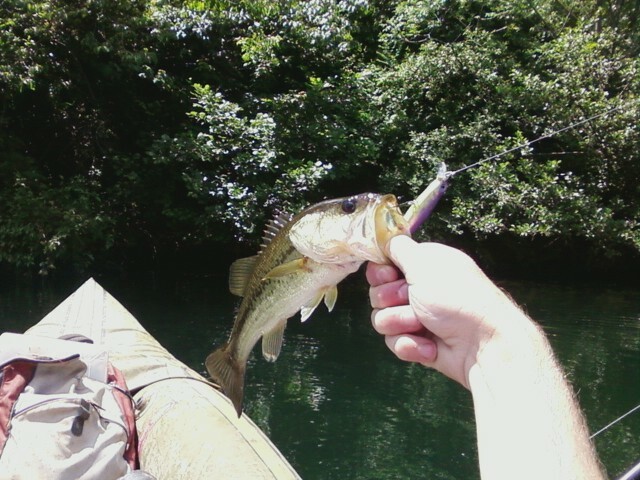 The fish I was after wasn’t biting, and to make matters worse I dropped my phone into the lake ruining it. 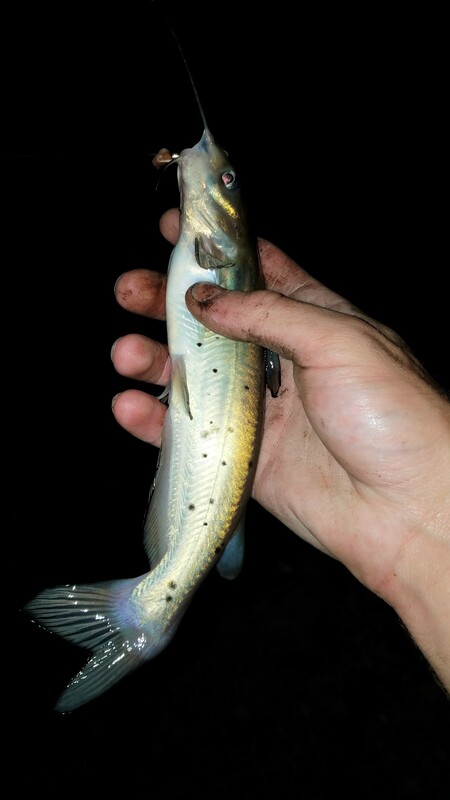 As it got dark I made my way back to my little beat up car and started making the drive home…until I got very lost. 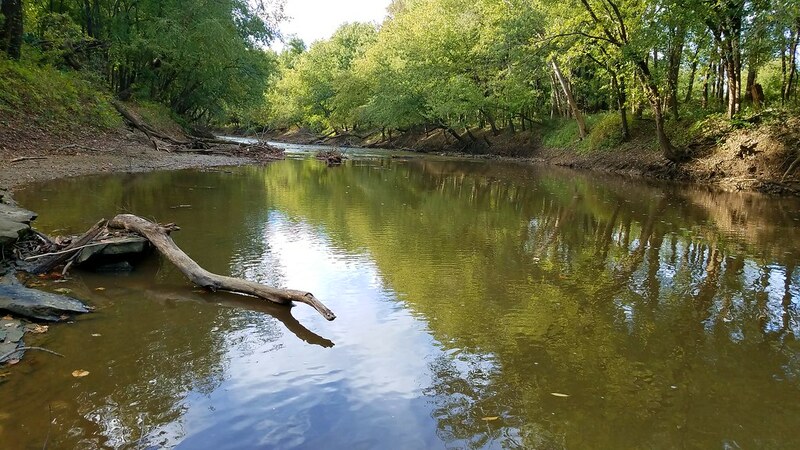 This was before we had a GPS and I remember searching through my Indiana map trying to find any of the crossroads I would see. 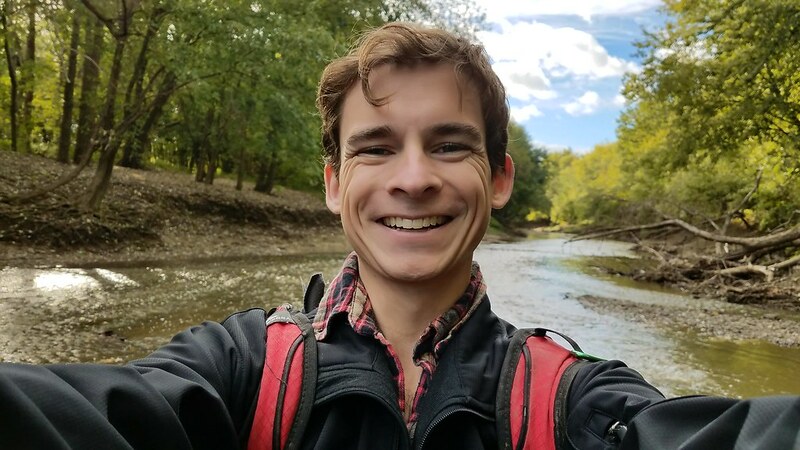 This was one of those moments where I learned to become self-reliant, I was lost in the middle of nowhere with no phone to even call for help. 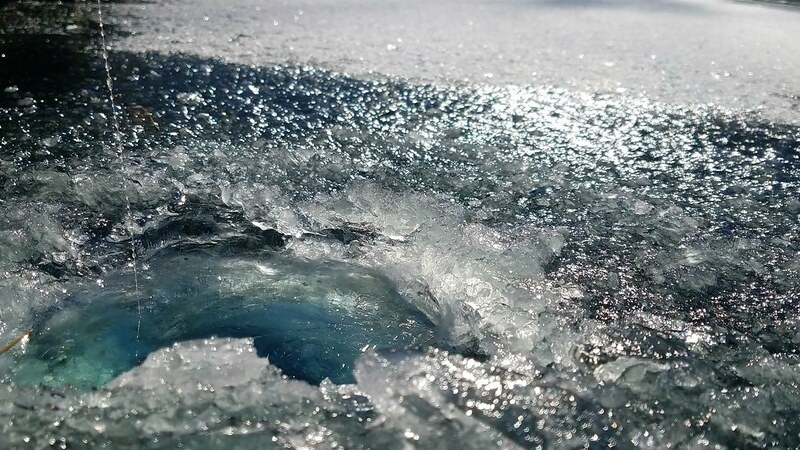 The drive home took an embarrassing amount of time, but I was never so happy (or proud) to have my rickety old car parked in front of the house. 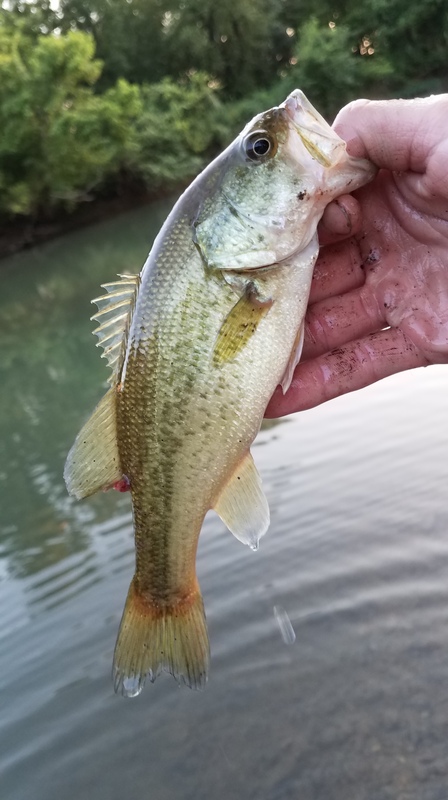 The only photo I have from that day was of a bass I caught on a jerkbait, this couldn’t have been taken more then 10 minutes before that phone took a swim. 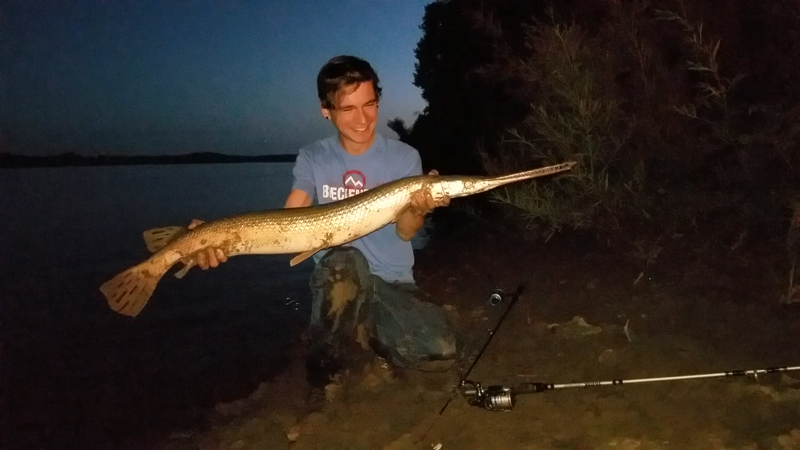 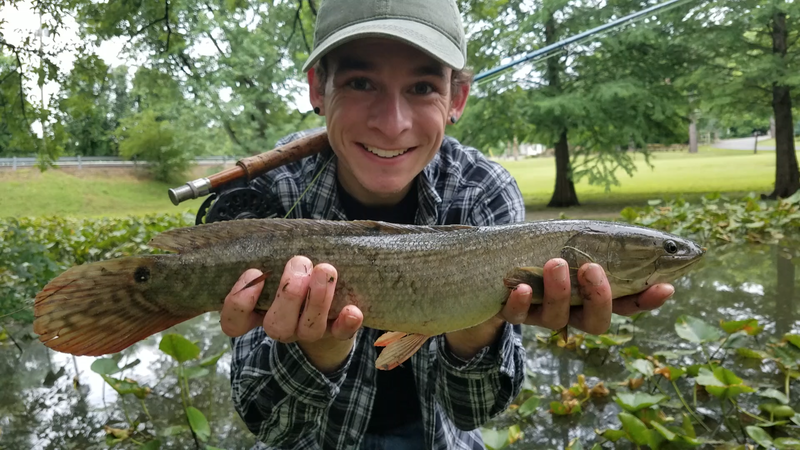 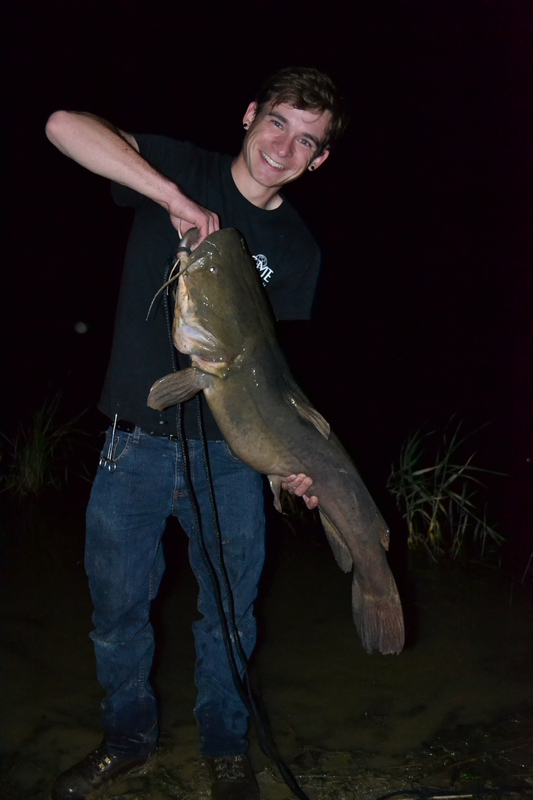 I only got more and more into fishing as I started college, for the first time in years I finally had large amounts of time to spend on my favorite hobby. 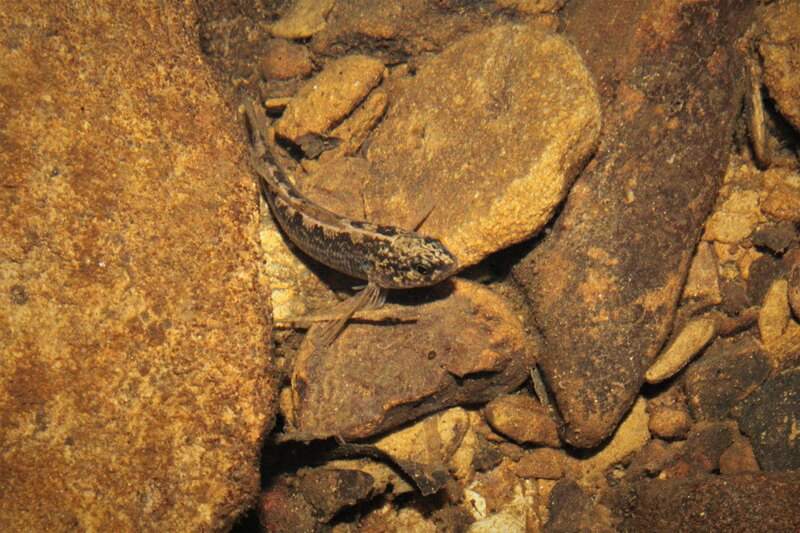 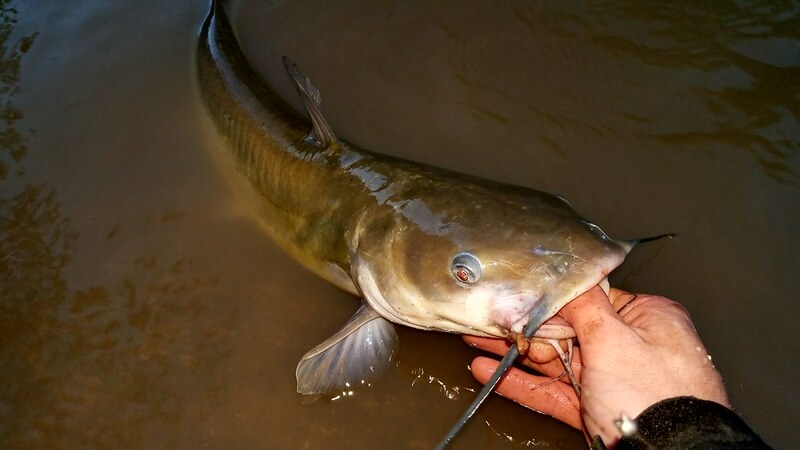 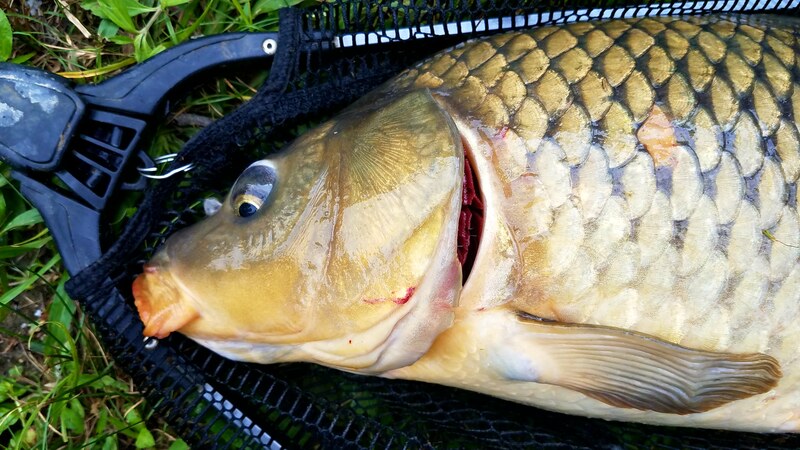 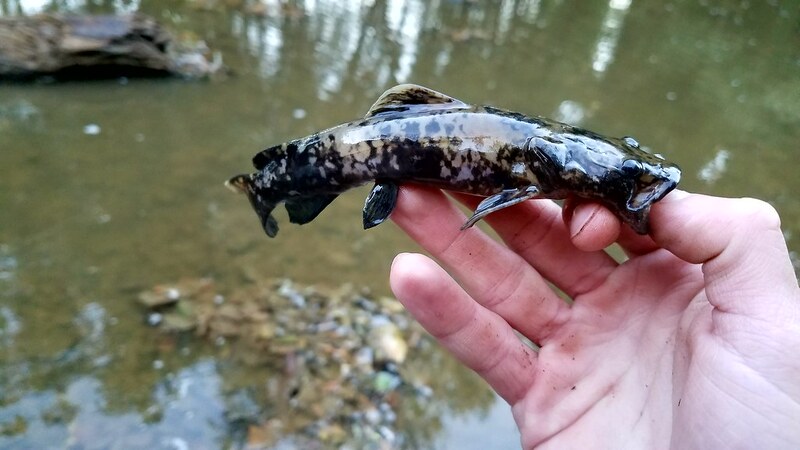 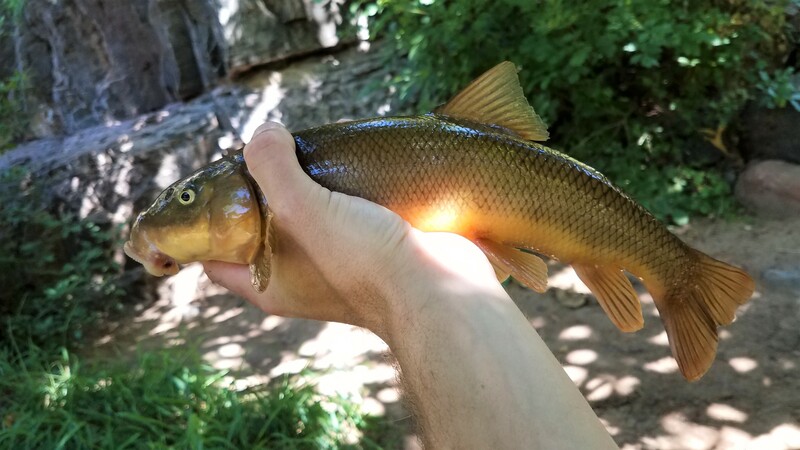 I spent those years doing my best to try to figure out every species I could catch in this state. 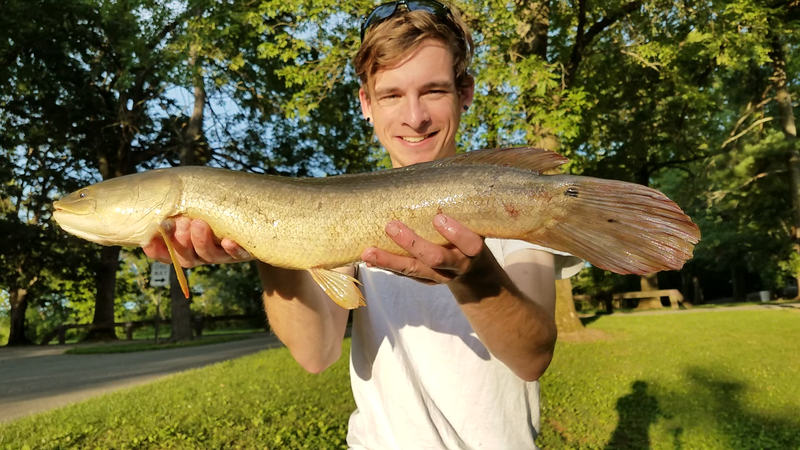 Indiana treated me very well and reward me with over 50 different species of fish. 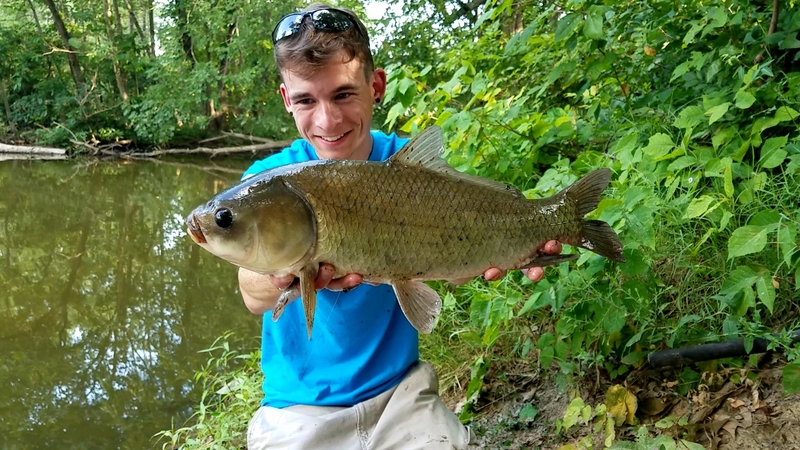 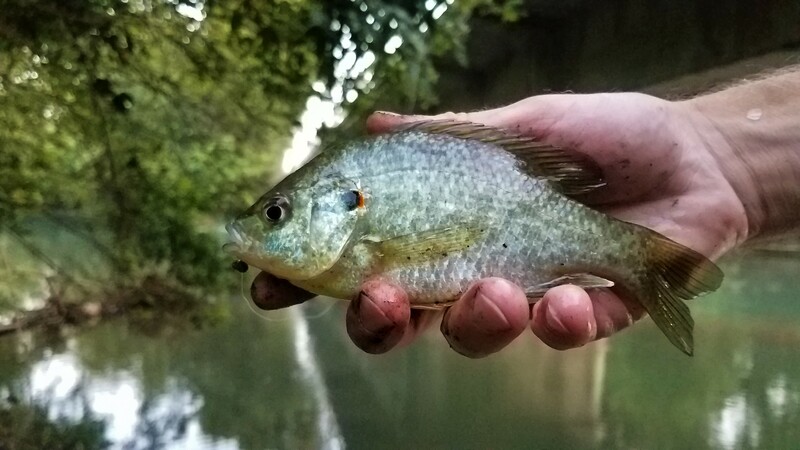 As I started to finalize my moving date I still had one last species I knew I couldn’t leave Indiana without catching. 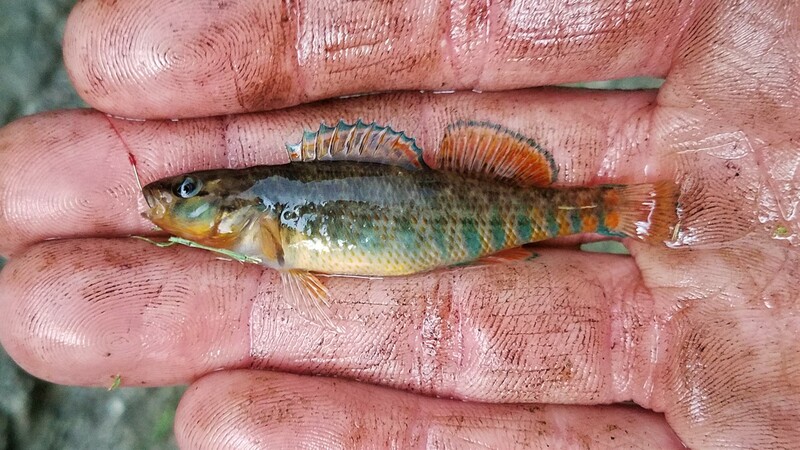 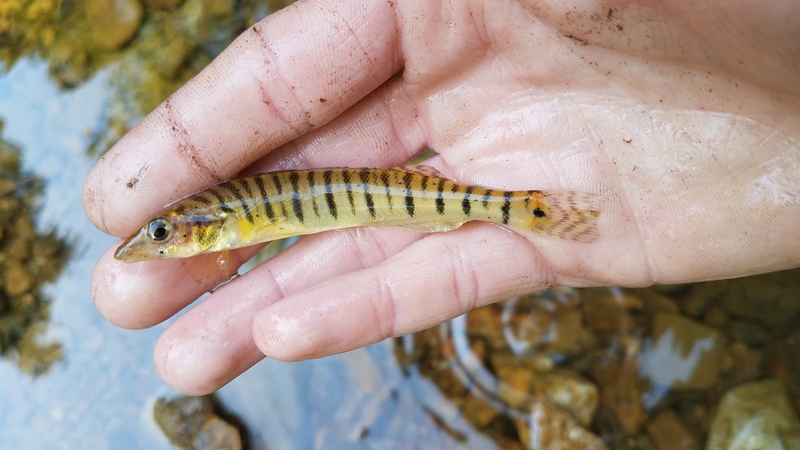 When I started micro-fishing I had one main goal, I wanted to catch a Rainbow Darter. 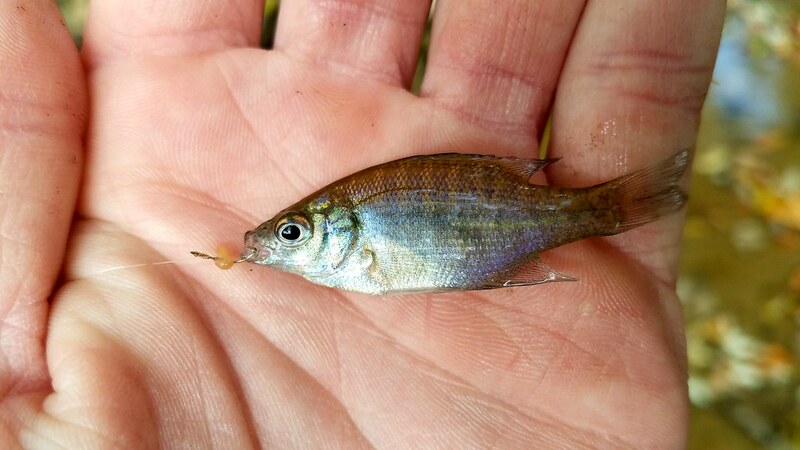 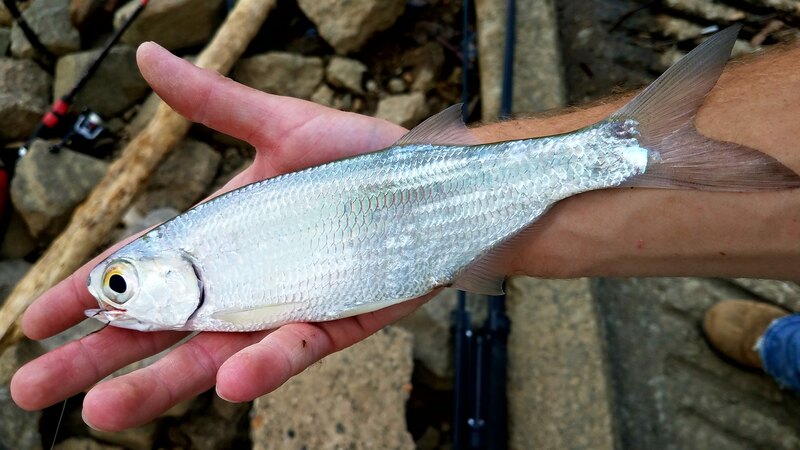 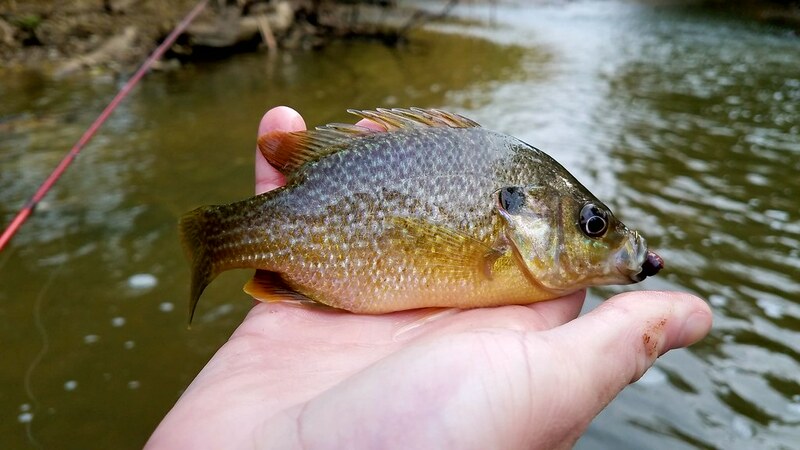 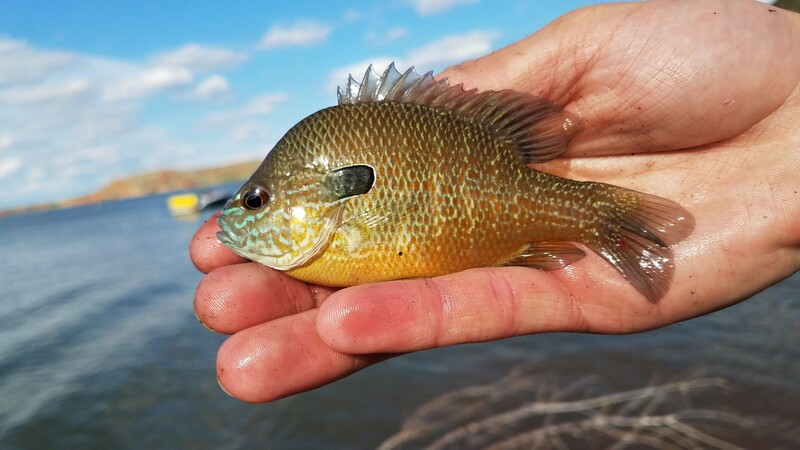 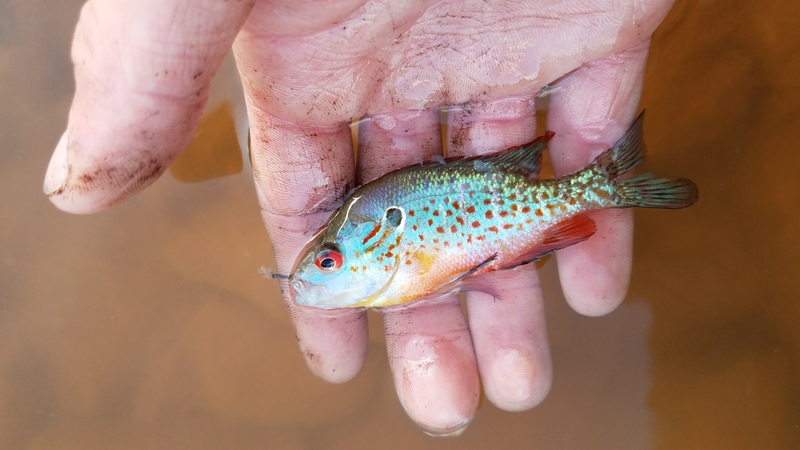 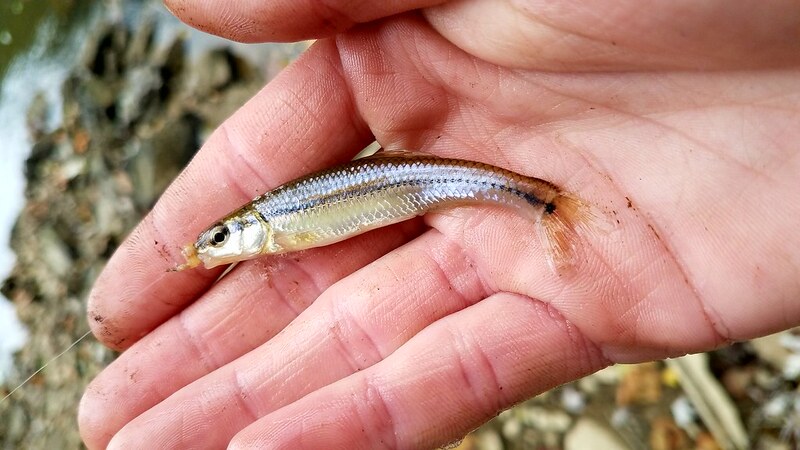 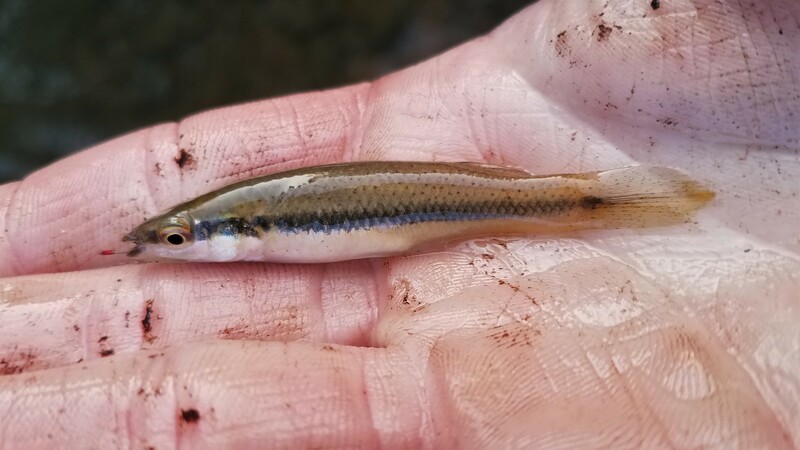 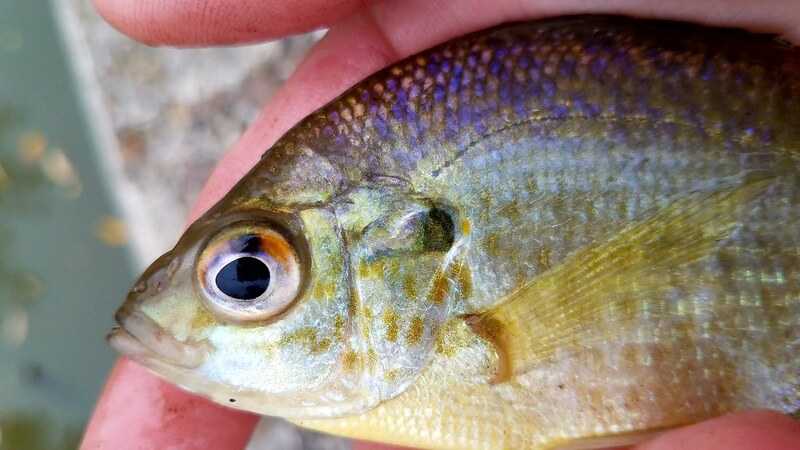 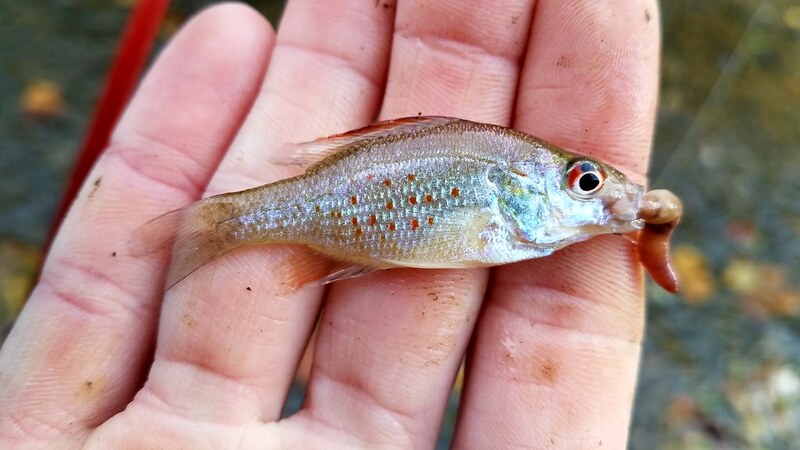 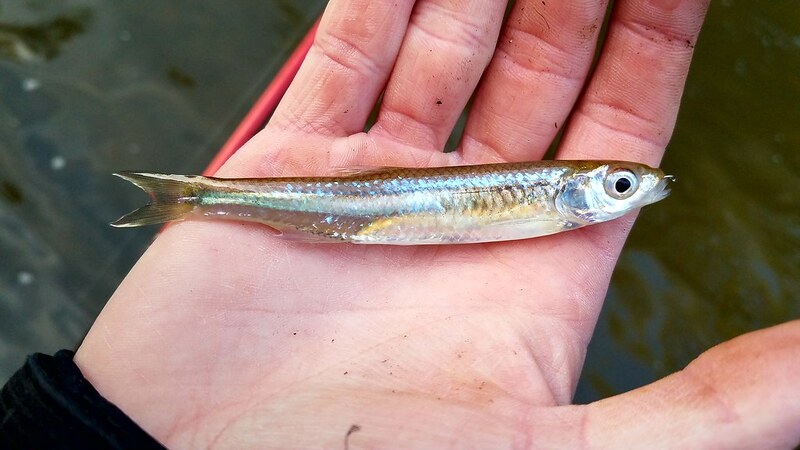 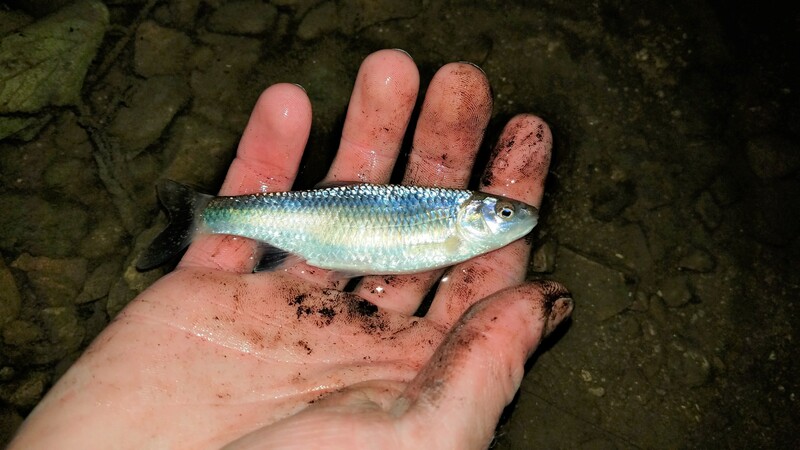 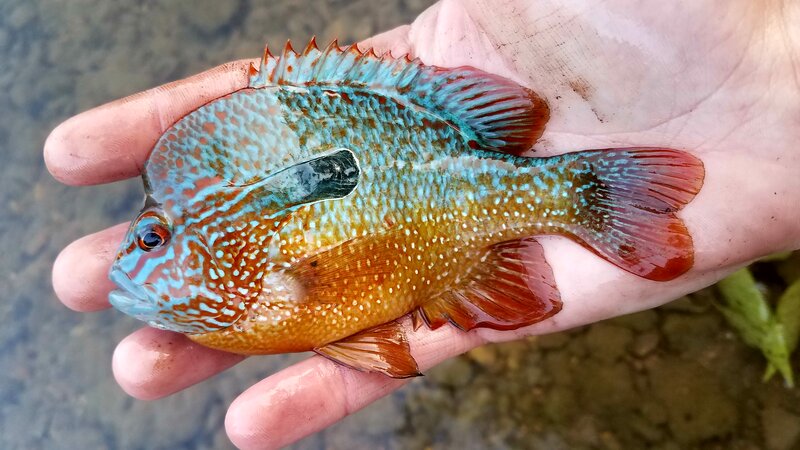 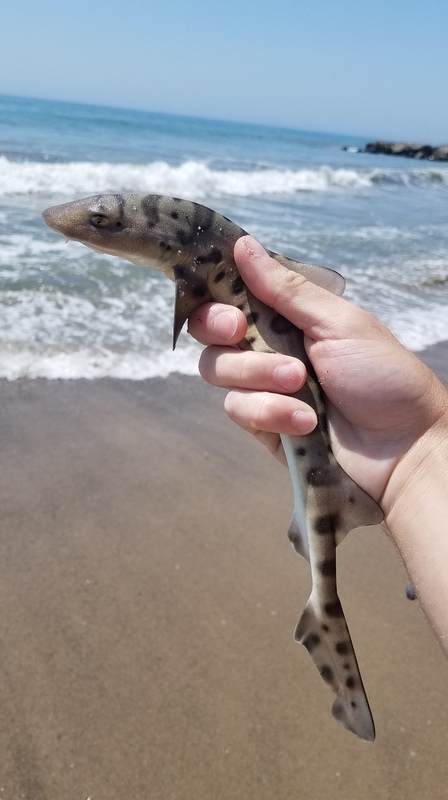 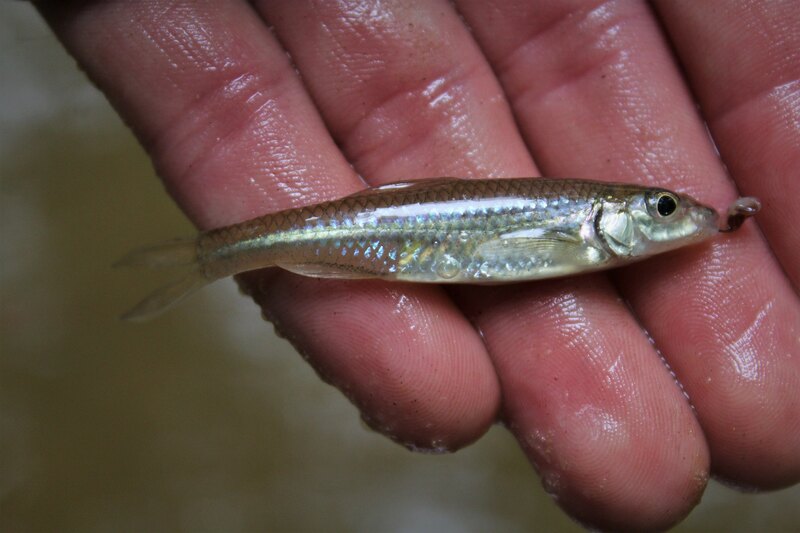 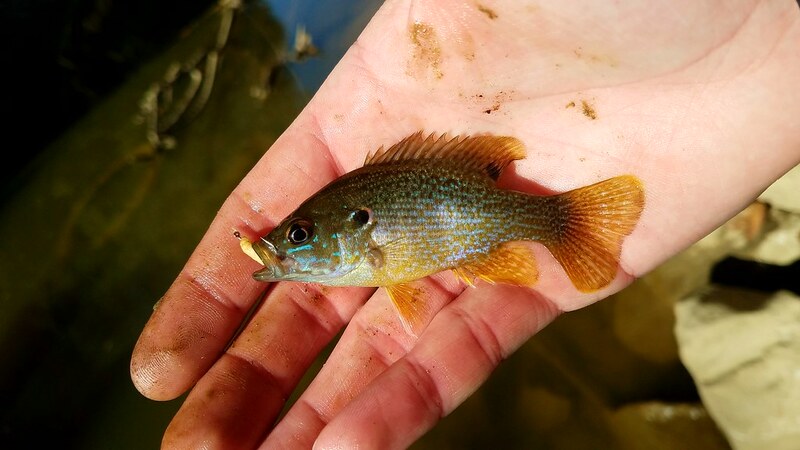 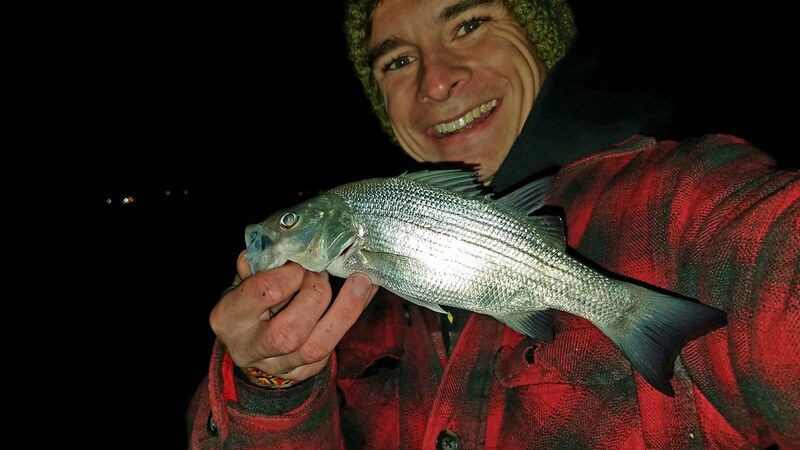 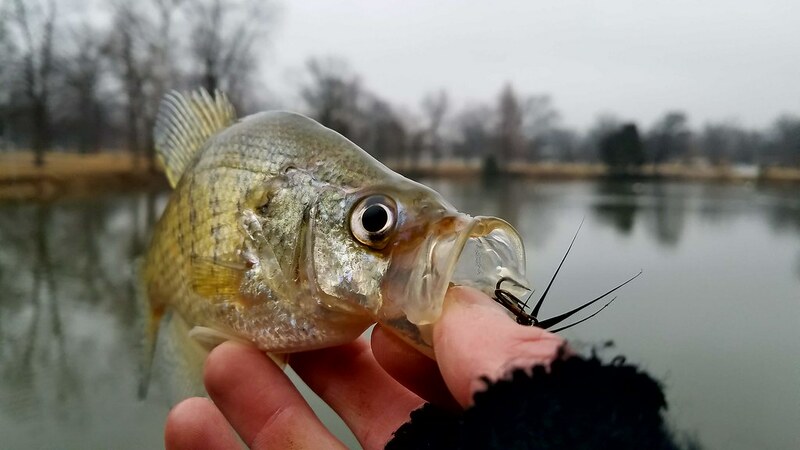 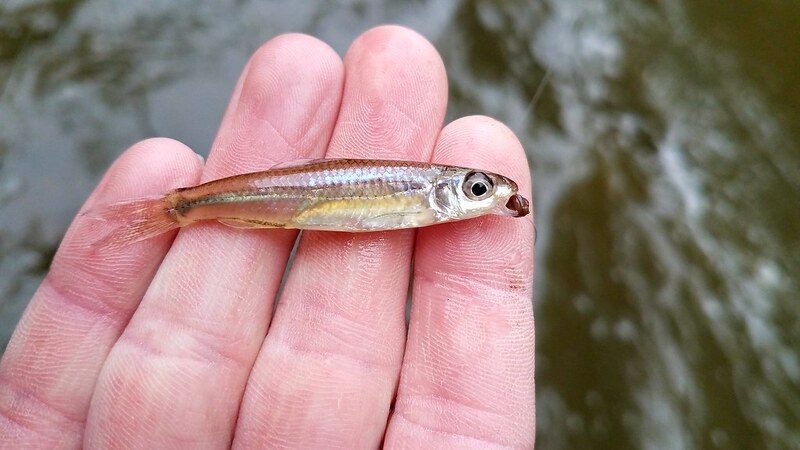 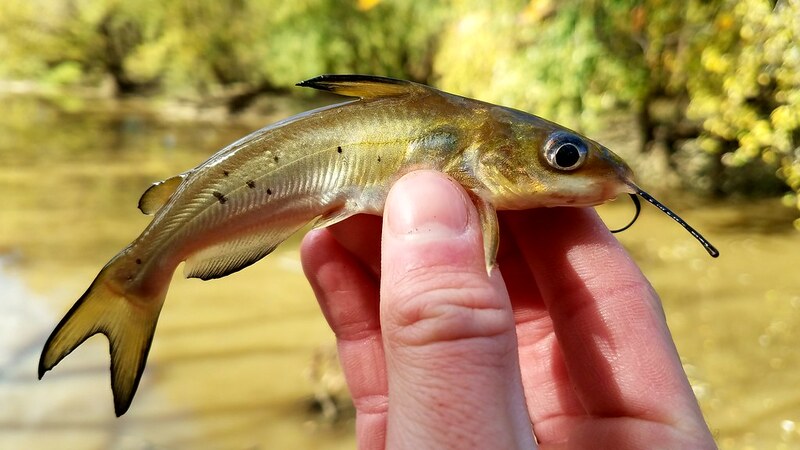 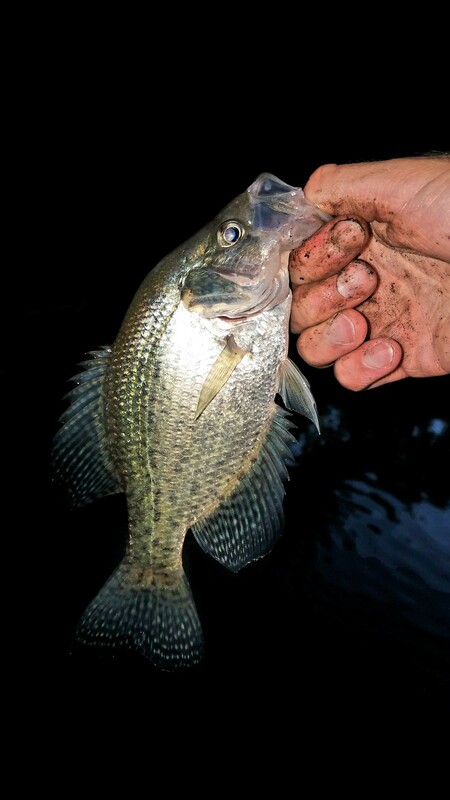 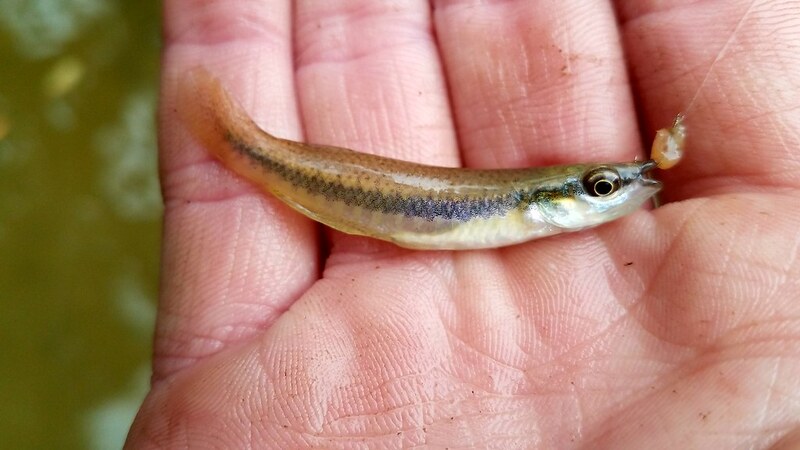 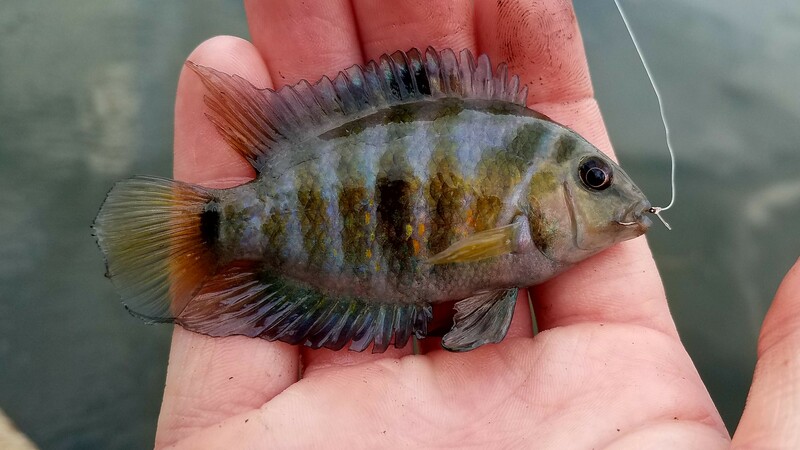 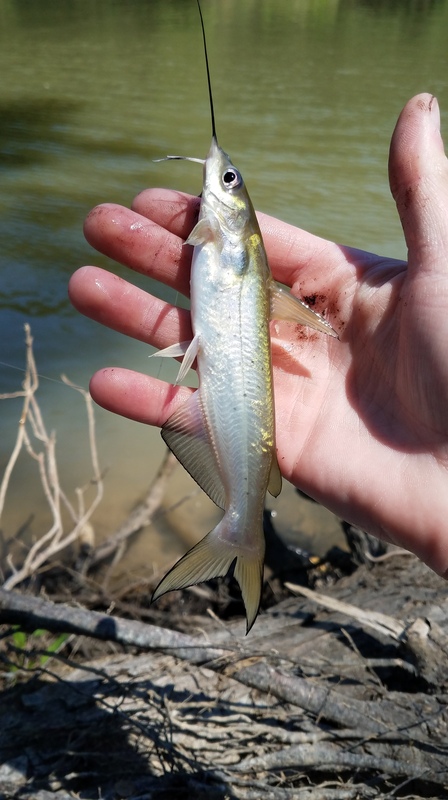 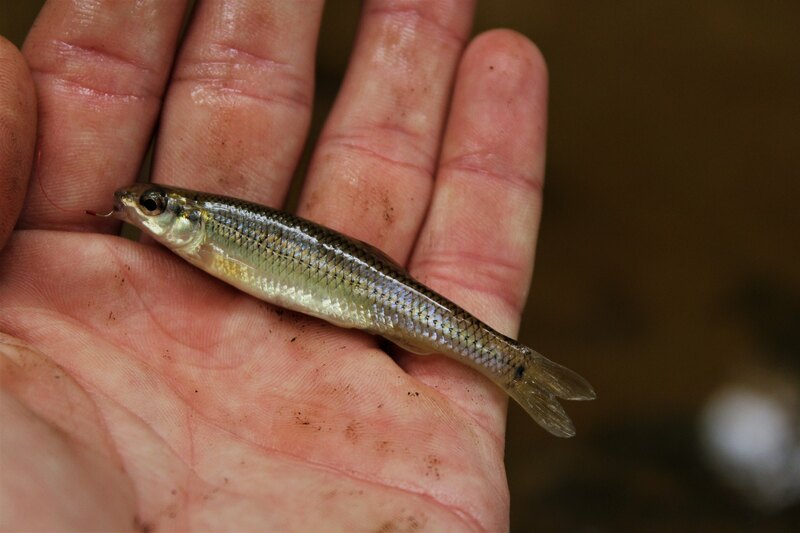 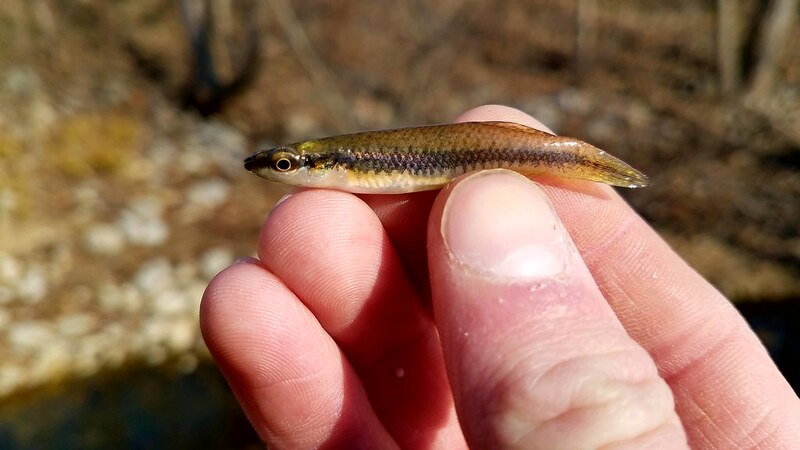 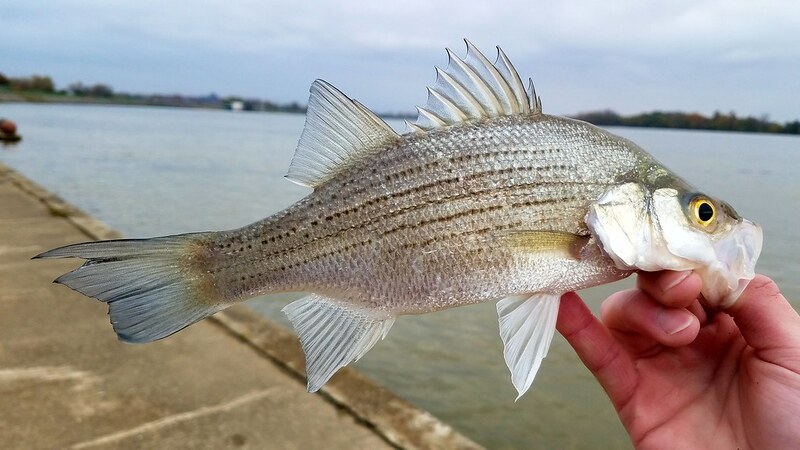 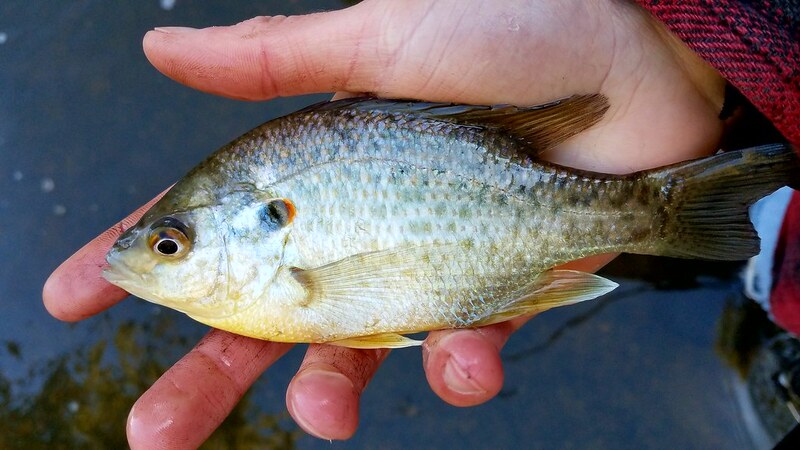 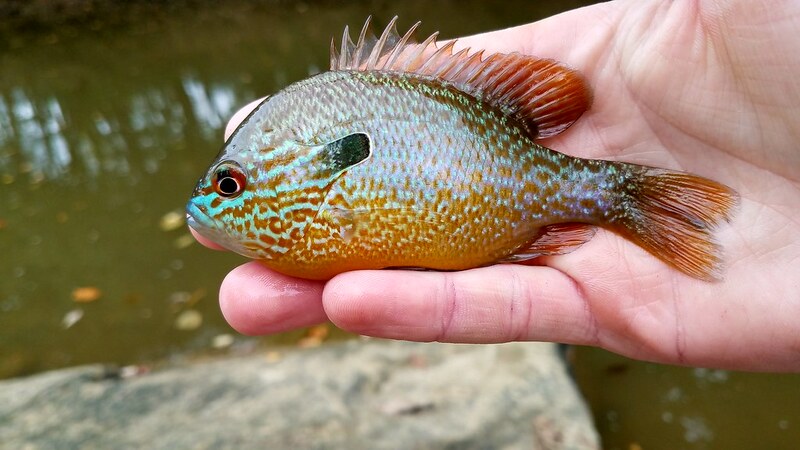 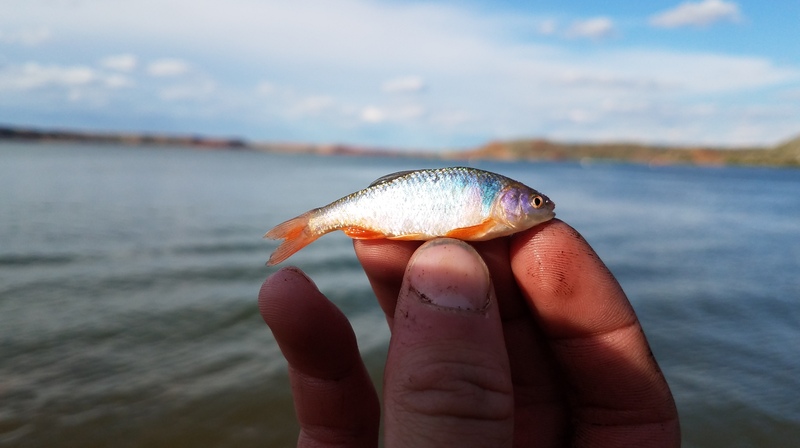 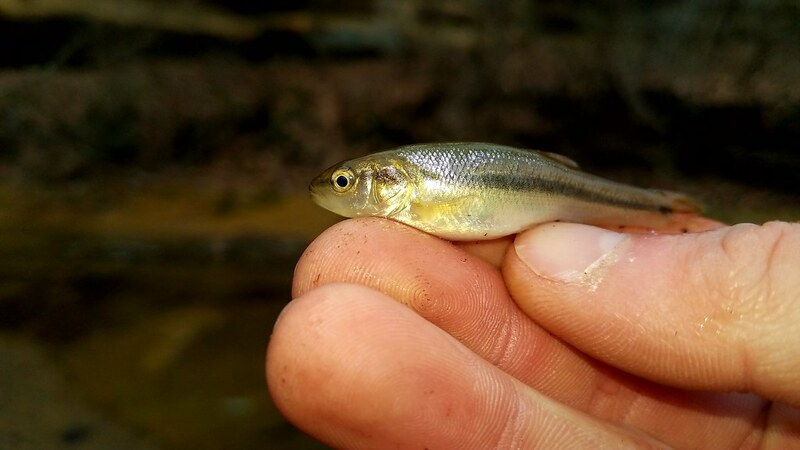 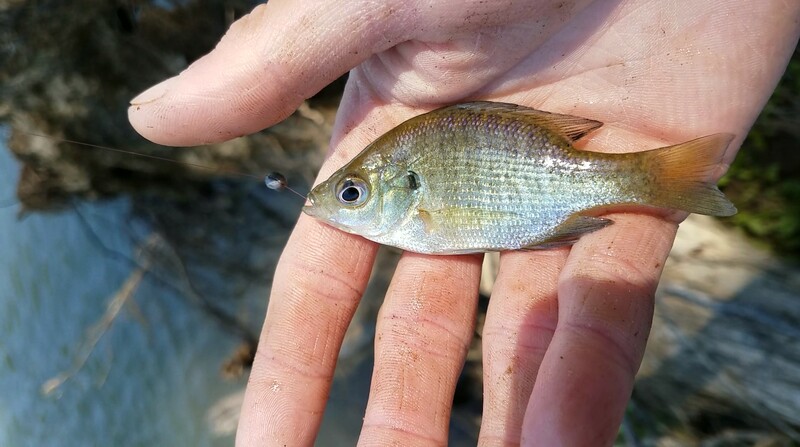 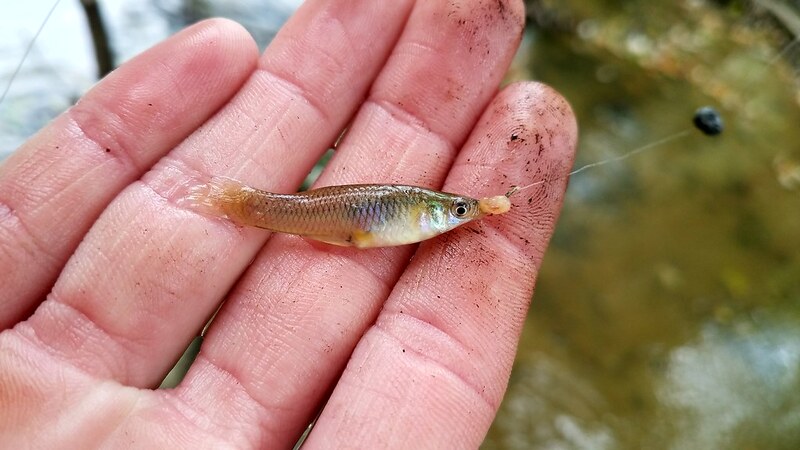 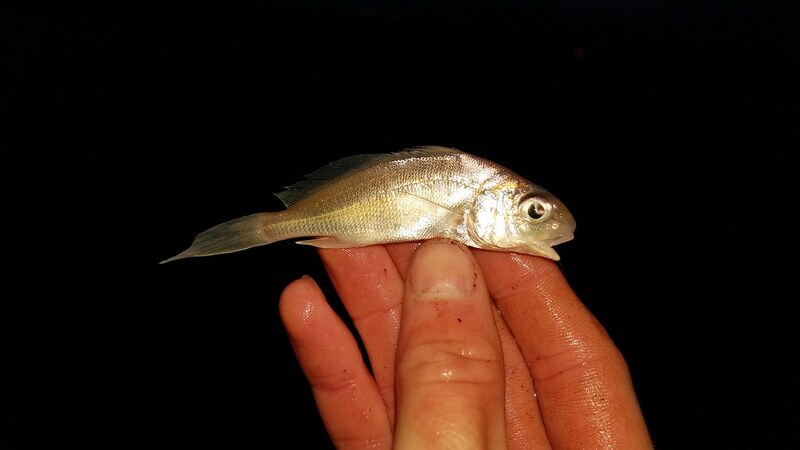 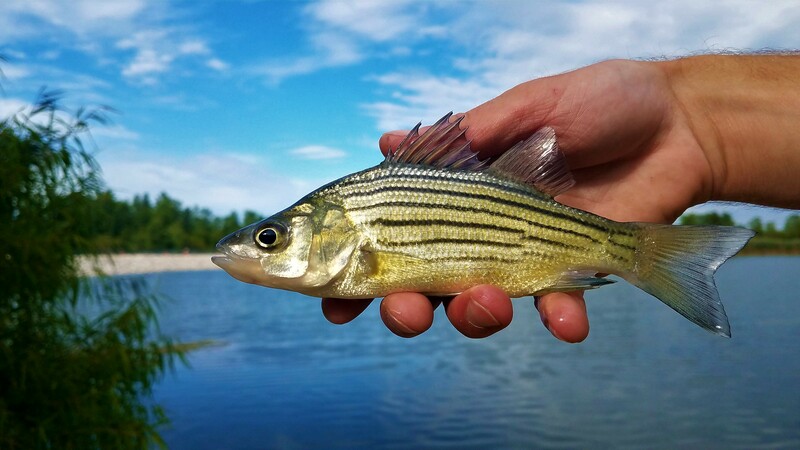 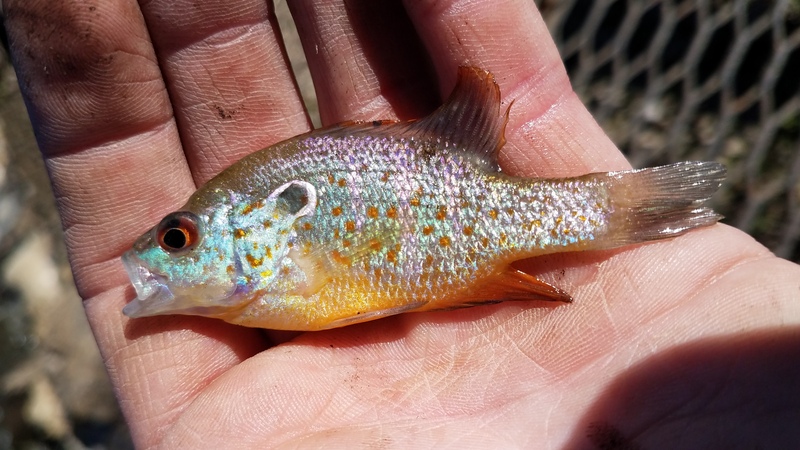 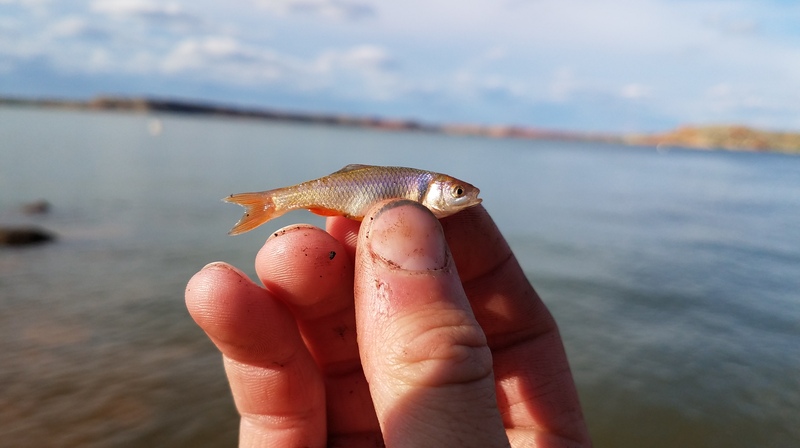 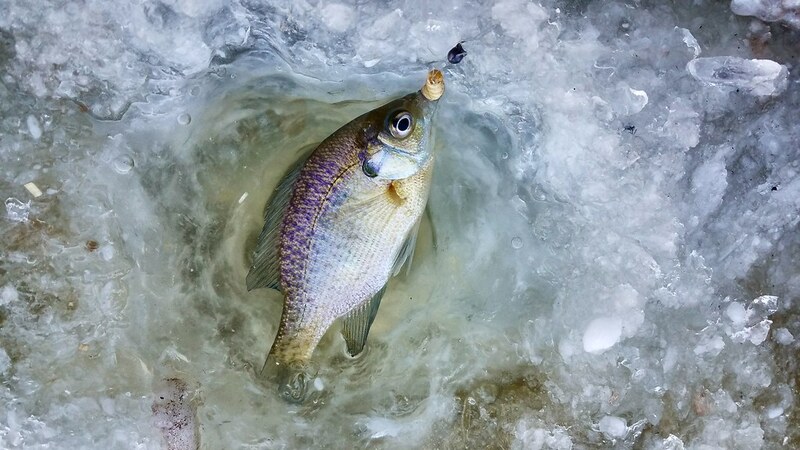 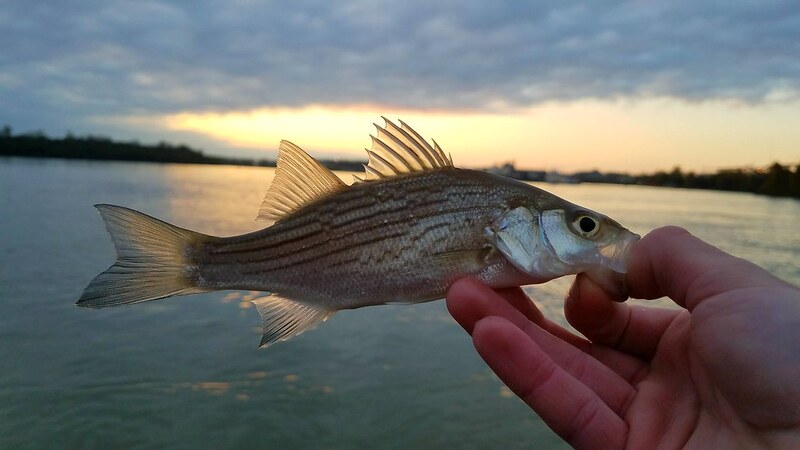 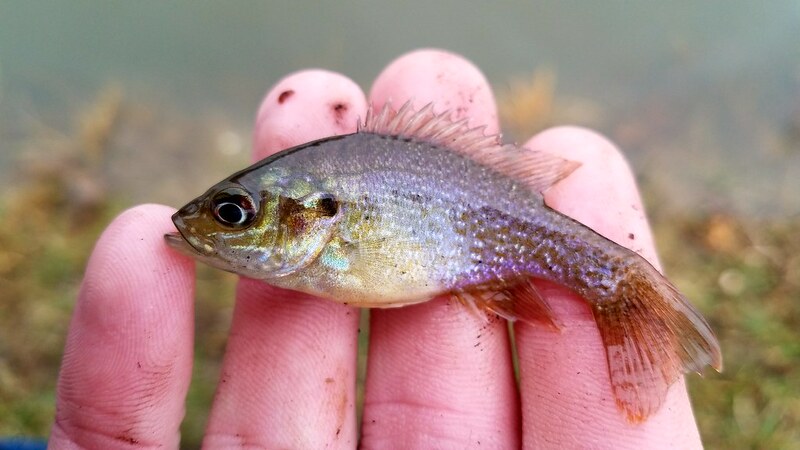 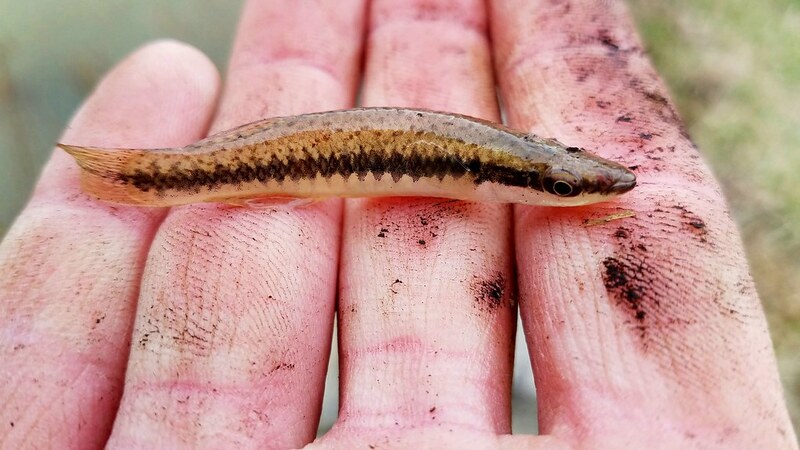 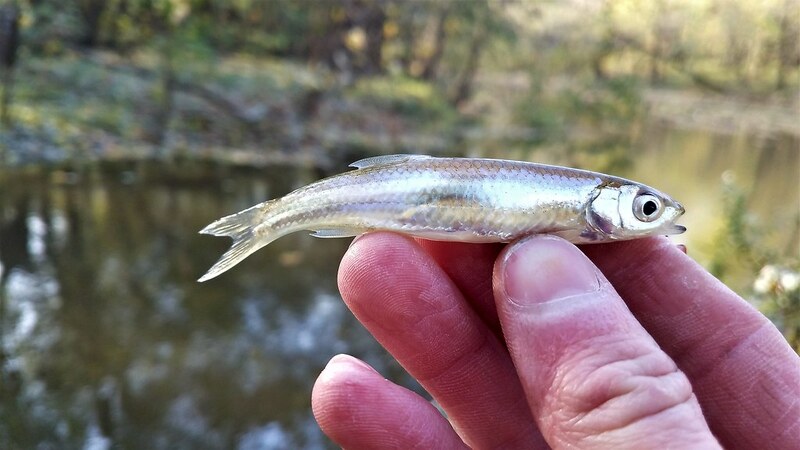 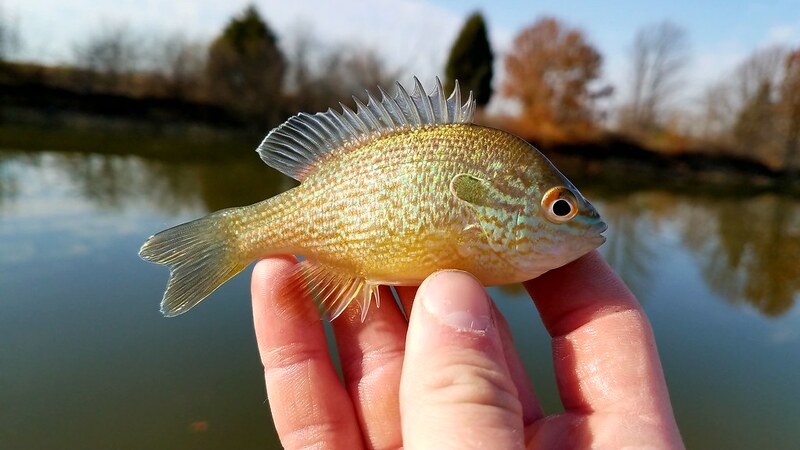 Most people aren’t even aware that these tiny fish exist, but in my eyes they are considered a trophy catch. 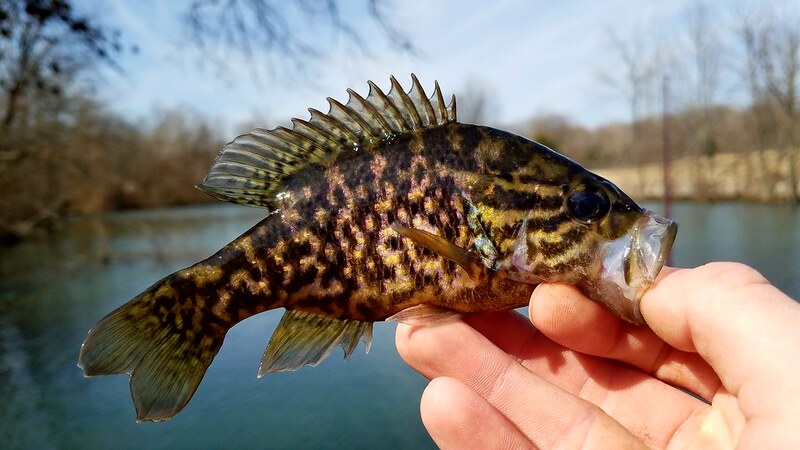 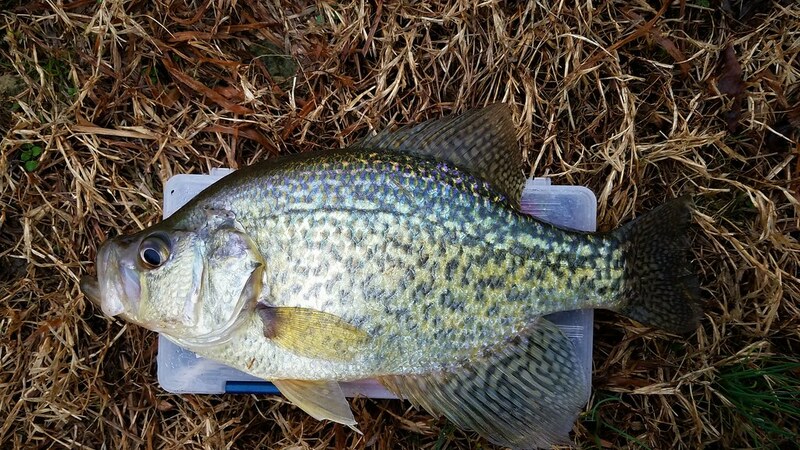 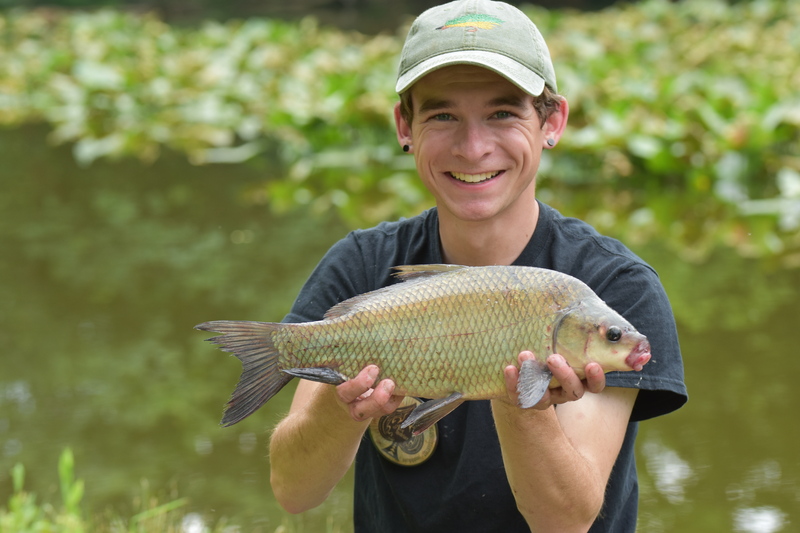 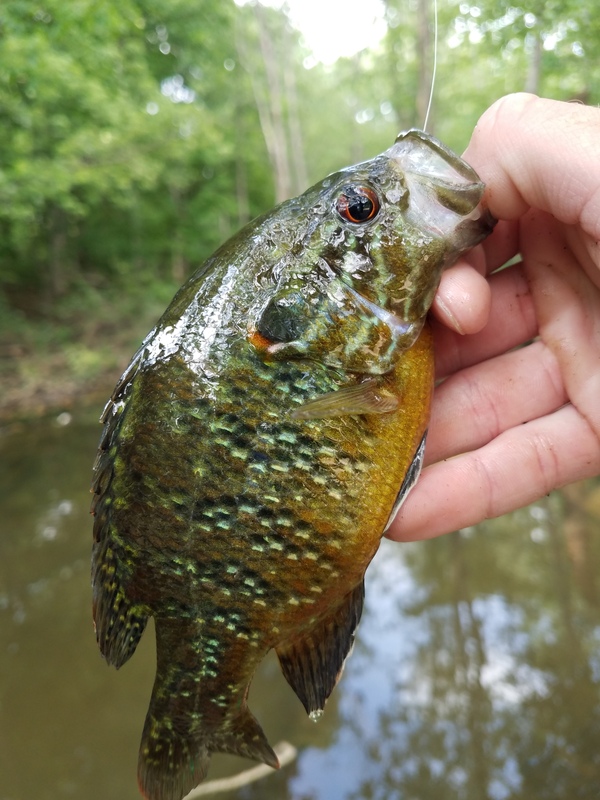 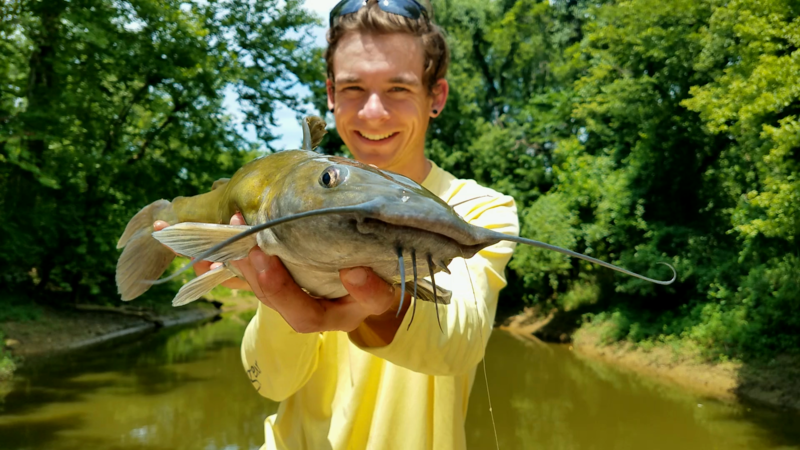 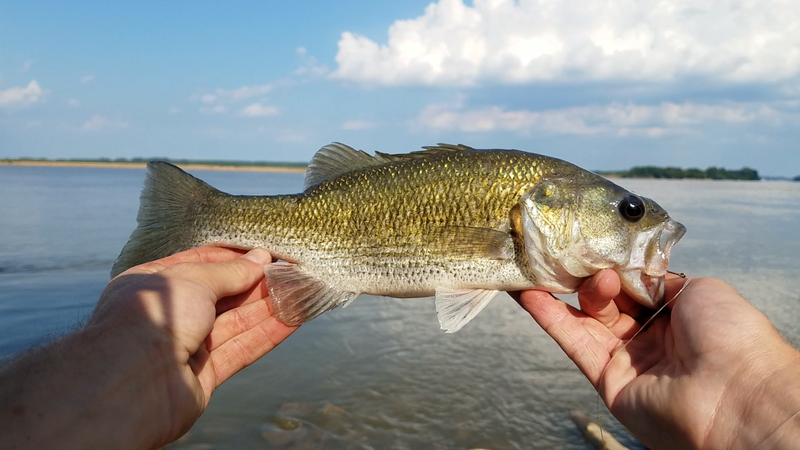 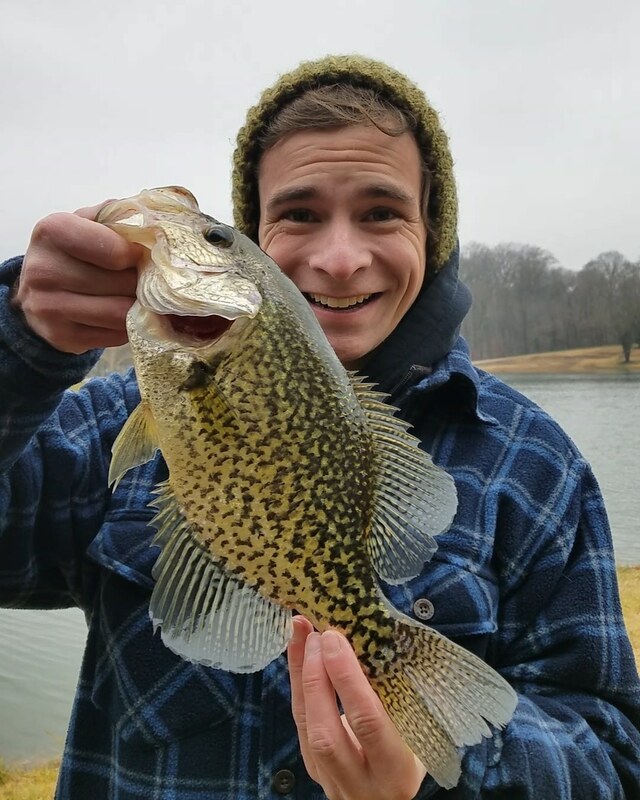 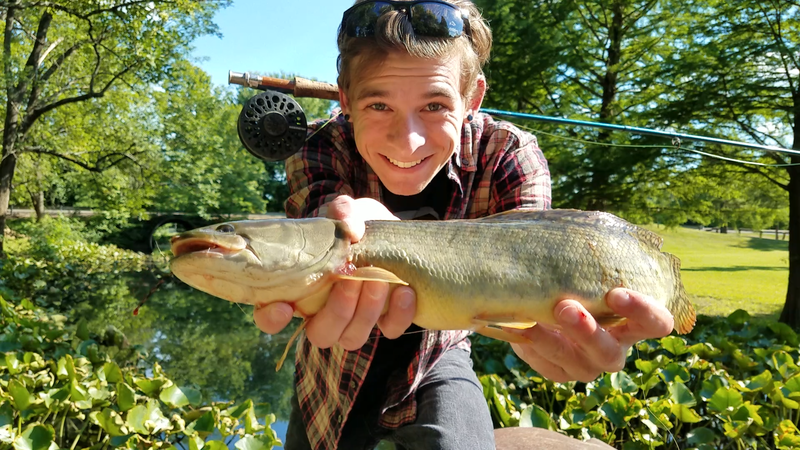 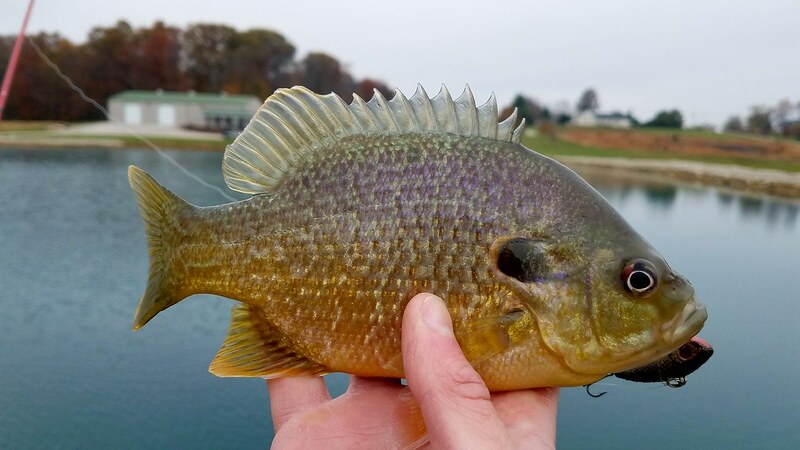 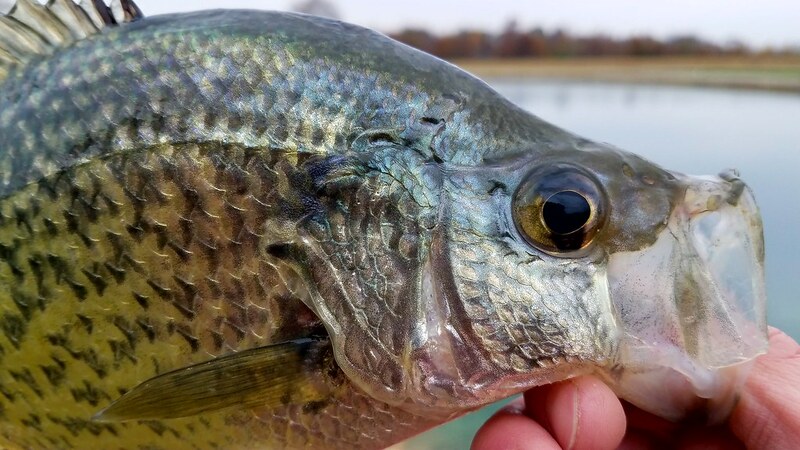 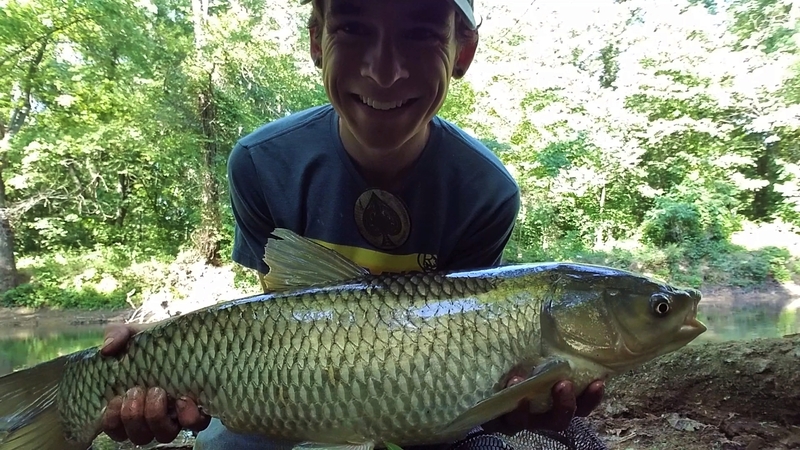 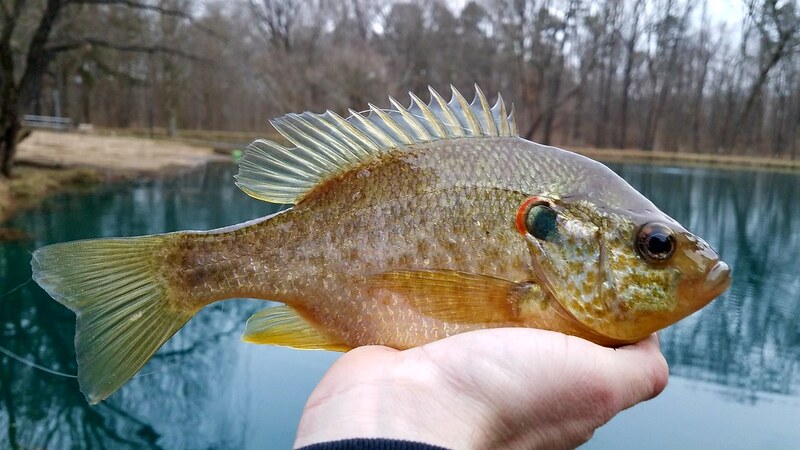 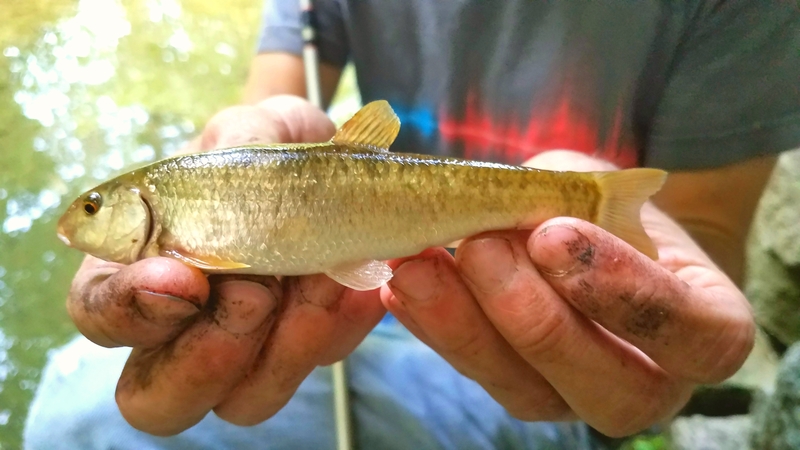 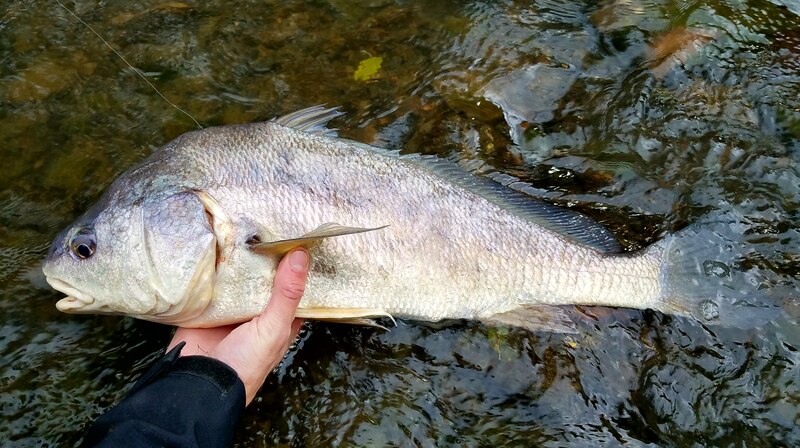 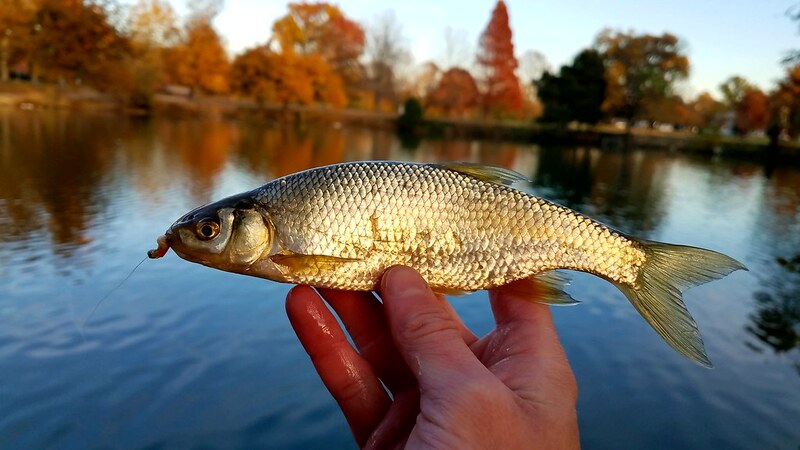 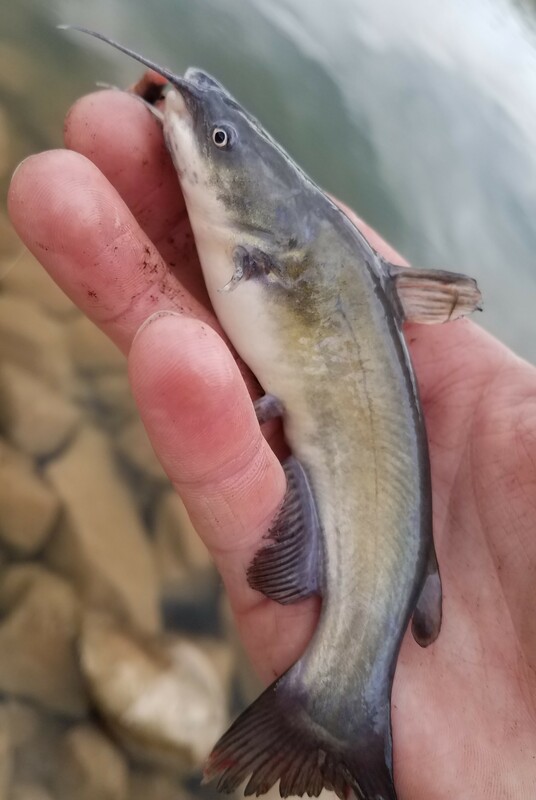 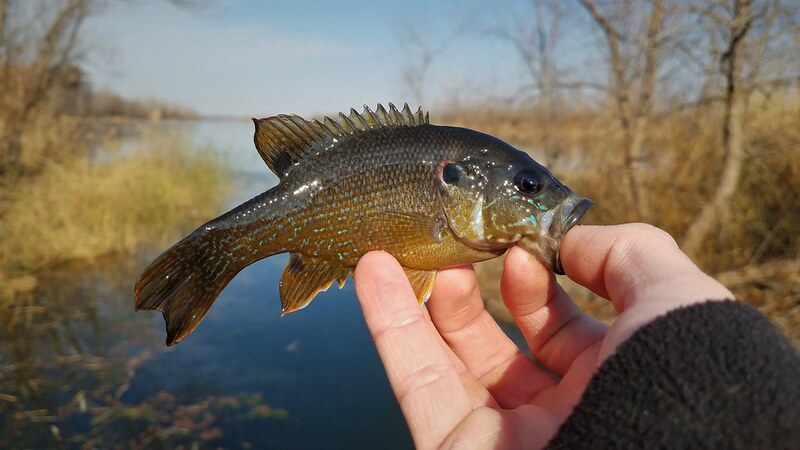 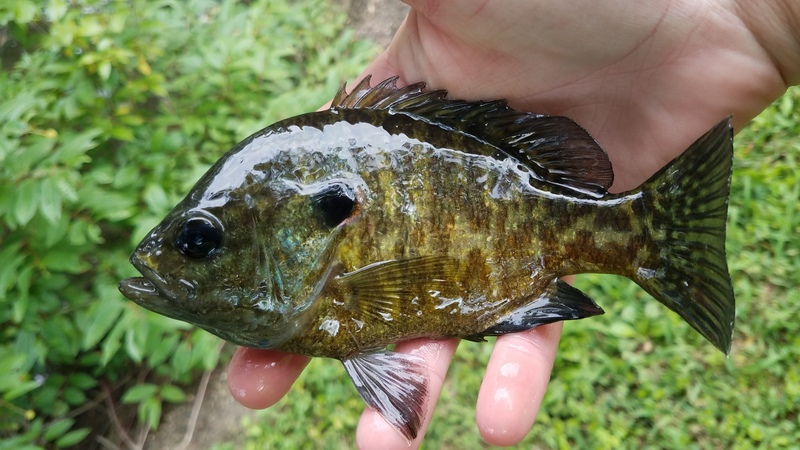 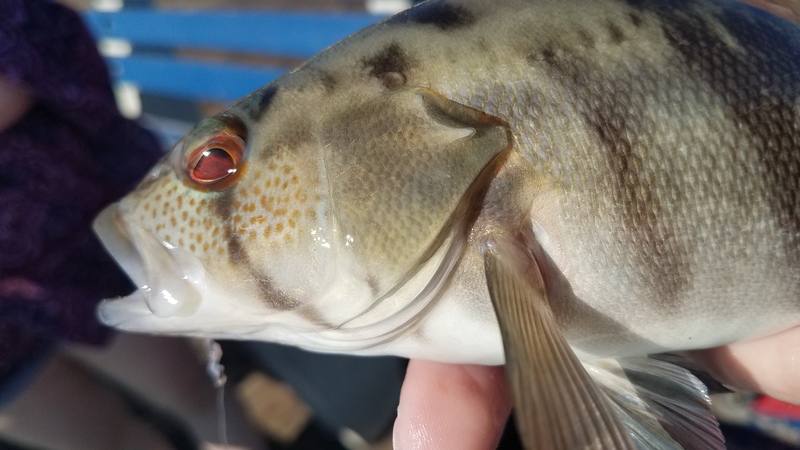 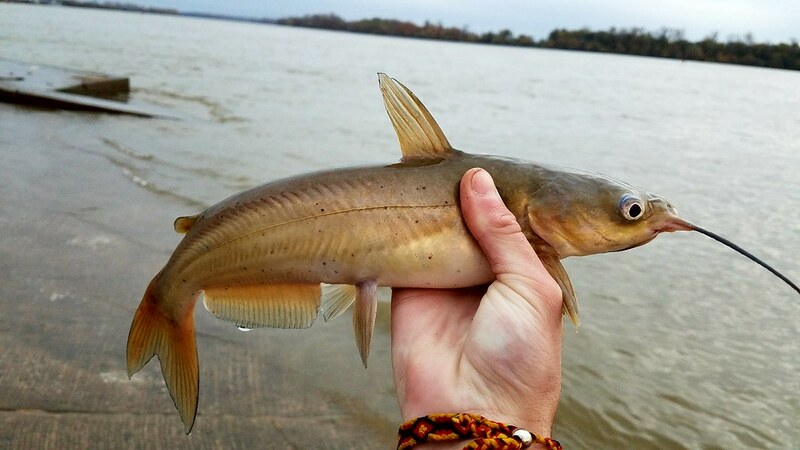 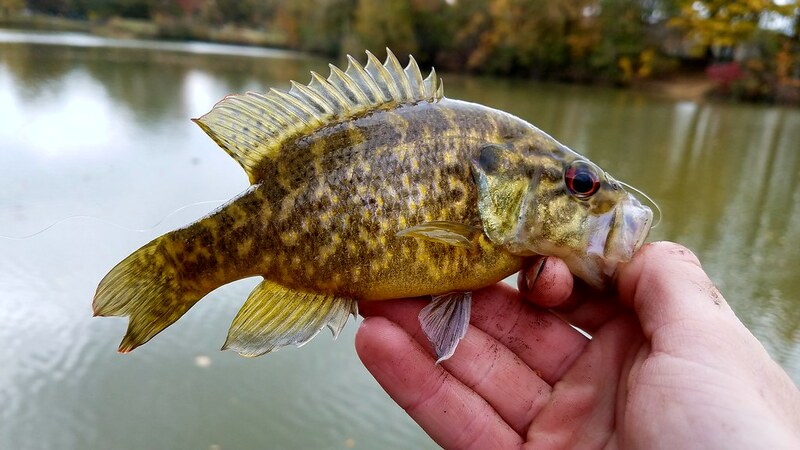 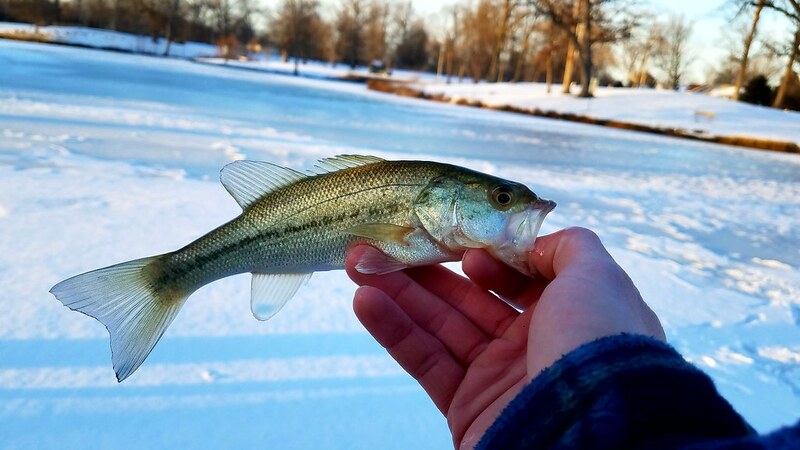 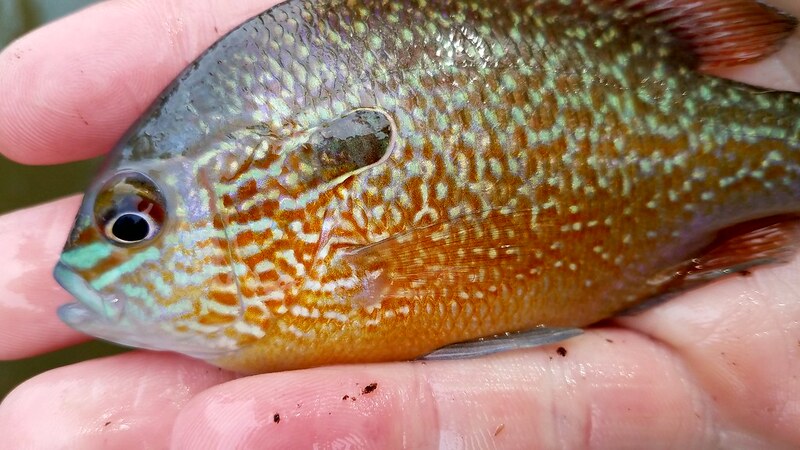 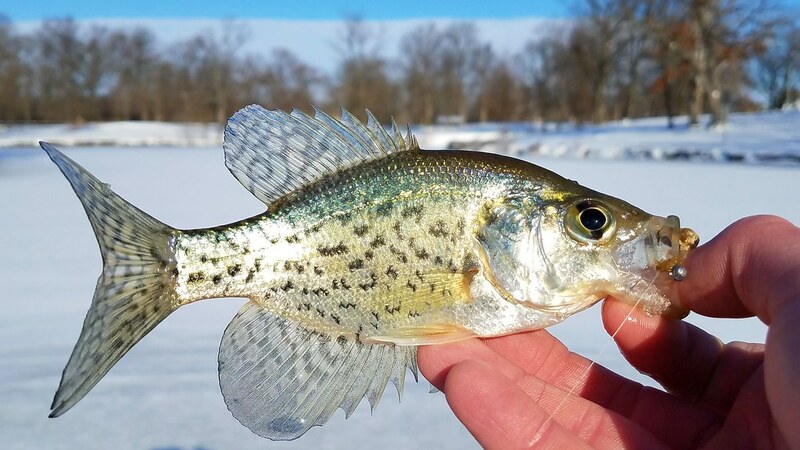 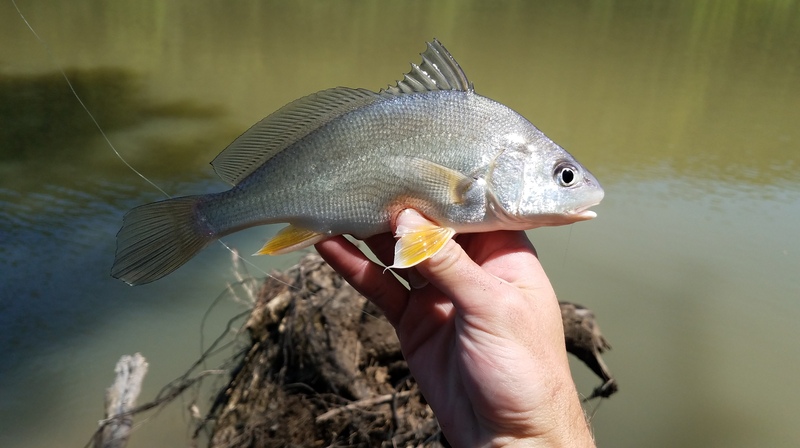 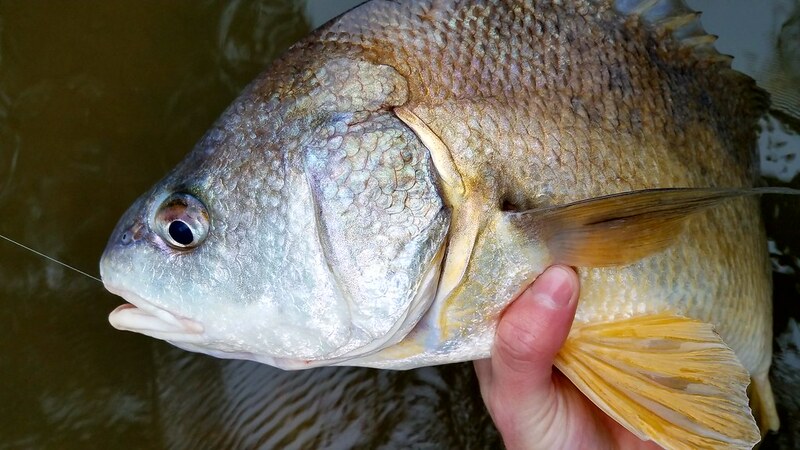 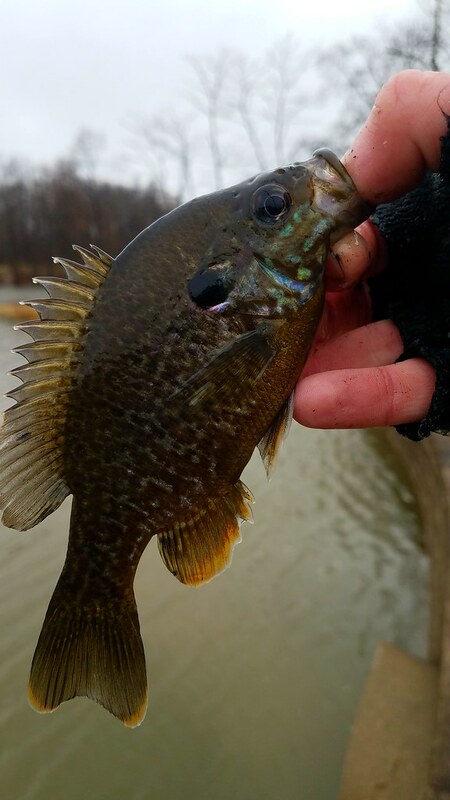 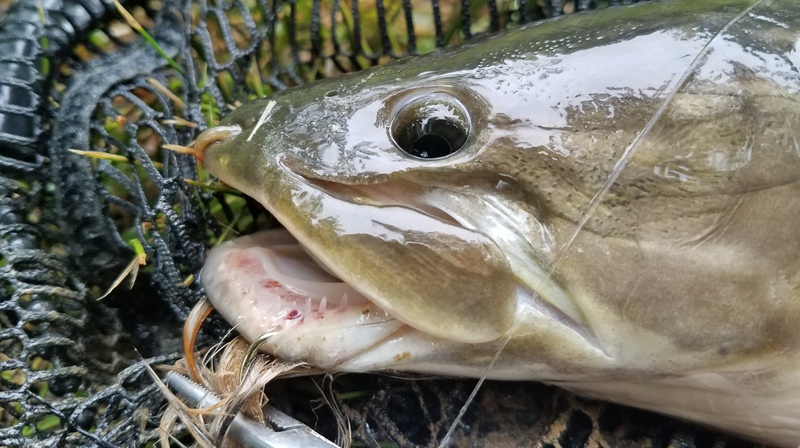 I made one last trip toward central Indiana to get in the range of this fish and met up with a fellow species fisherman who was kind enough to help me find my dream fish. 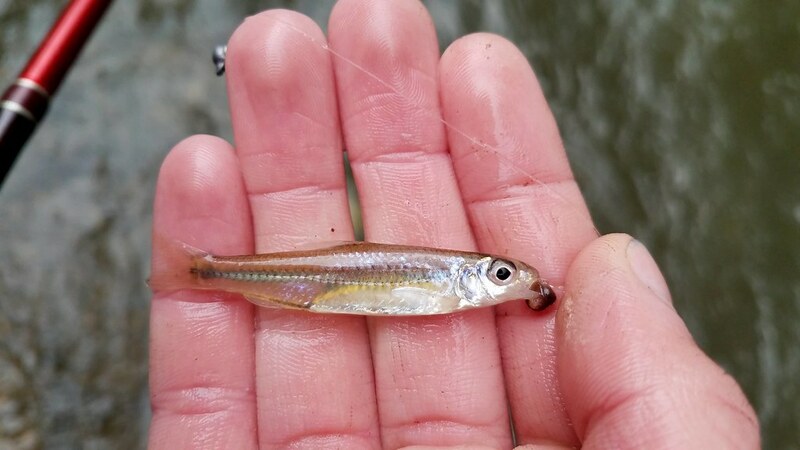 Minutes before a sever thunderstorm rushed us away from the stream my tiny hook was found by my prized catch. 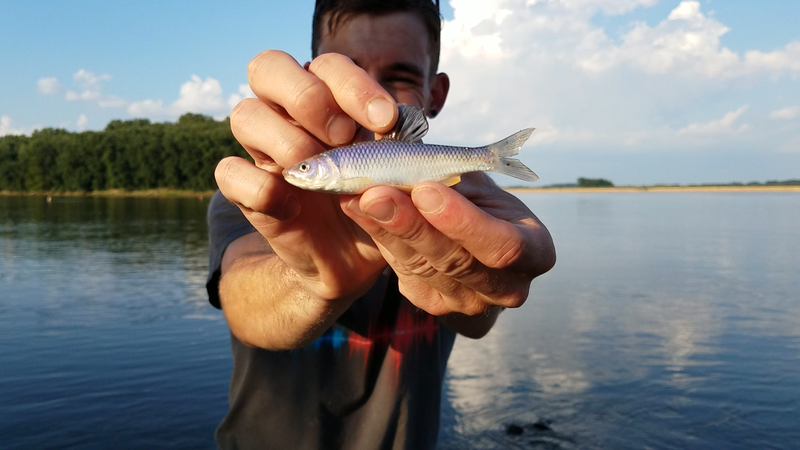 With this little fish it hit me that I was really about to leave my home state and embark on a whole new chapter of my life. 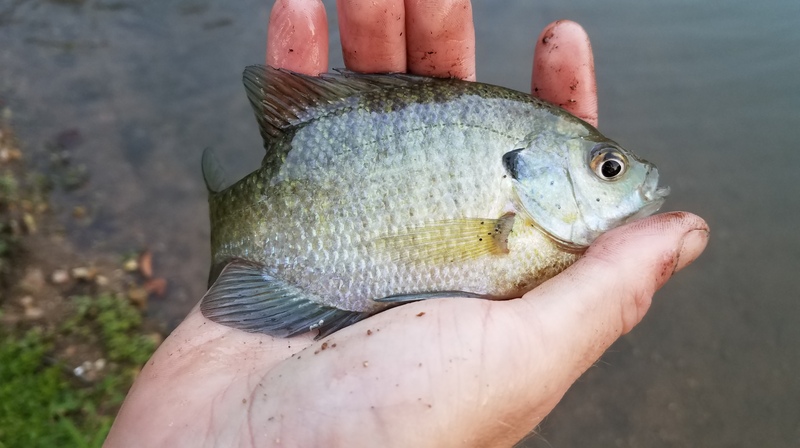 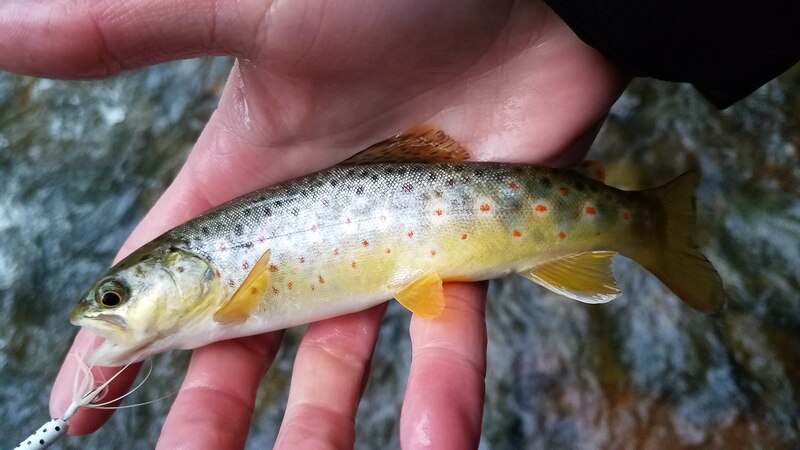 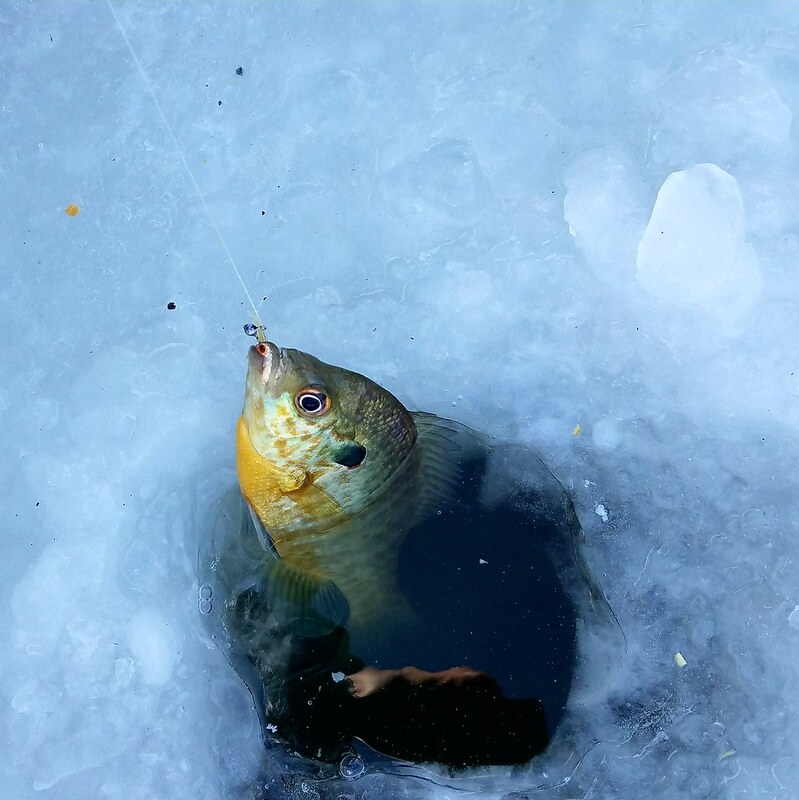 As I released this beautiful little fish my fear of change started to switch over to excitement. 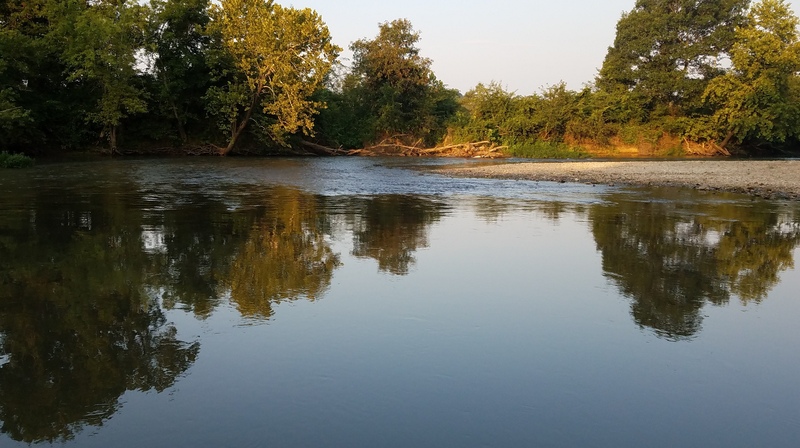 Indiana has treated me well: I have met my best friends here, I fell in love here, I spent time with my family here, I became an engineer here, and I learned who I was here. 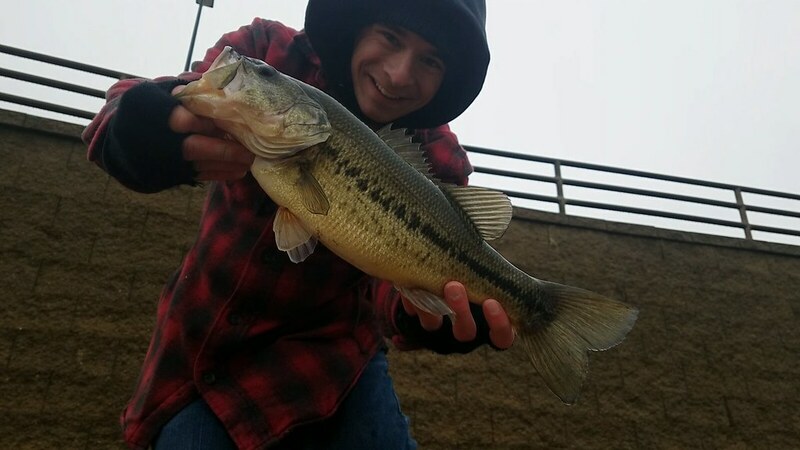 I’m excited to start forming a new list like this in California. 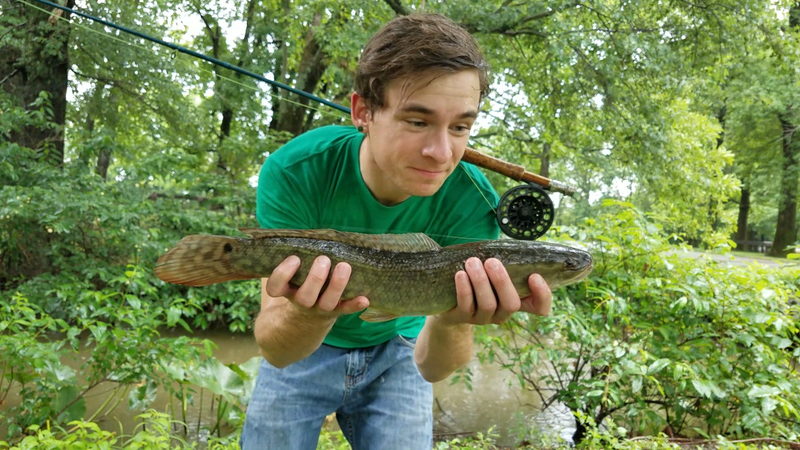 I hope you all choose to tag along with me as I go on this journey.